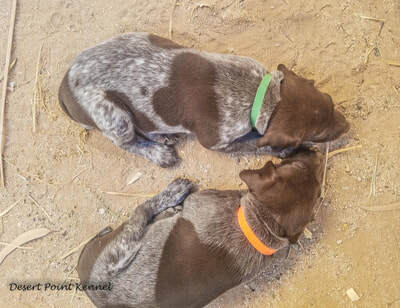 Holly and Bajenks pups were born on May 23, 2018. 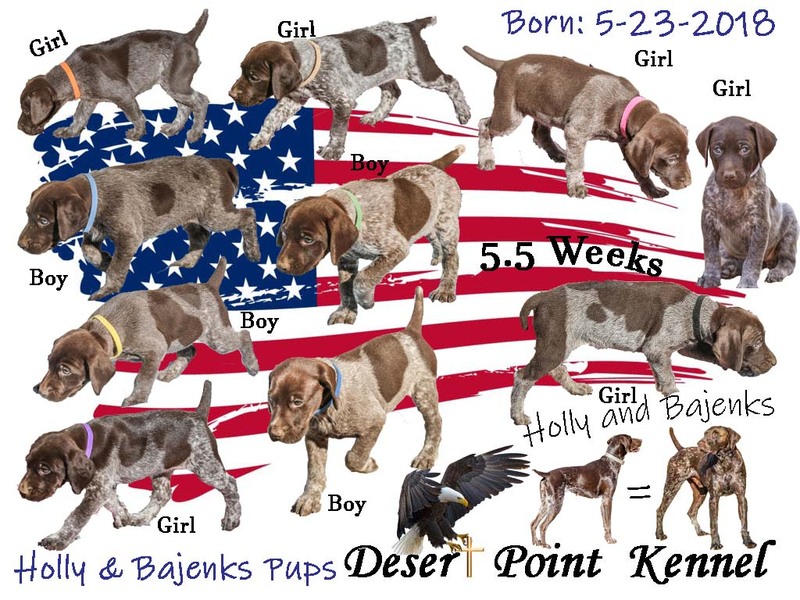 Six girls and 4 boys. 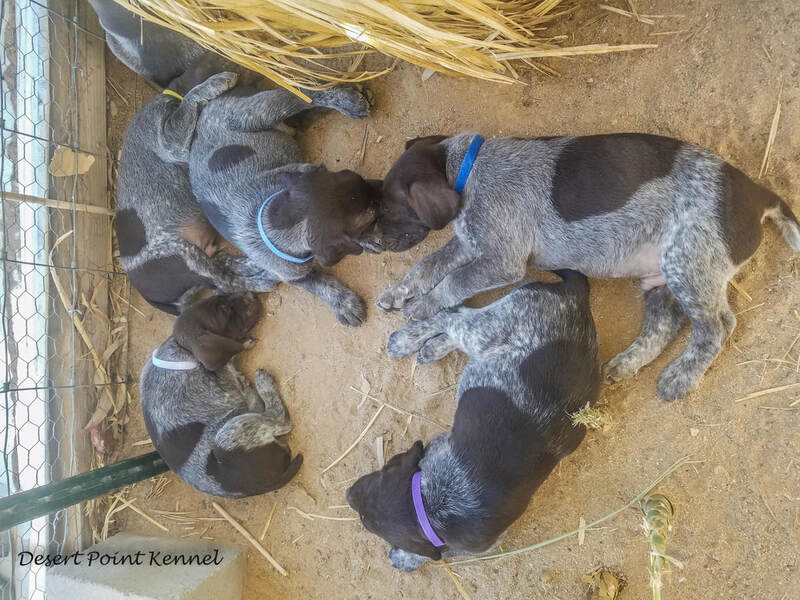 This is a very good looking litter. 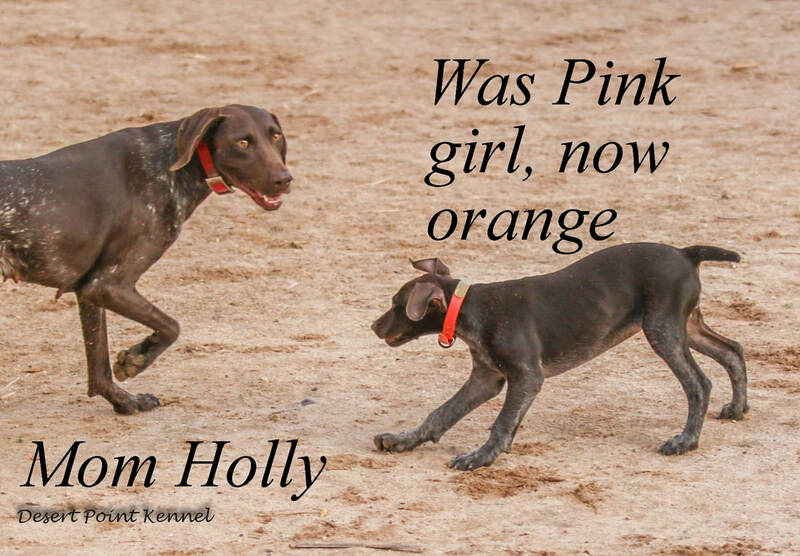 Holly's sire is a Versatile Champion, and her dam is a German DK. The sire of the litter is Bajenks one of our very own dogs. 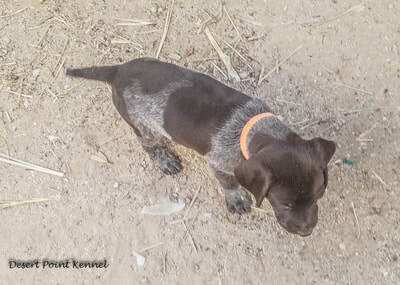 He has been producing outstanding litters, some say the best they have every seen. All pups will come with at least 2 vaccines, a micro chip, tails cut and dew claws removed, an a 100 percent guarantee. 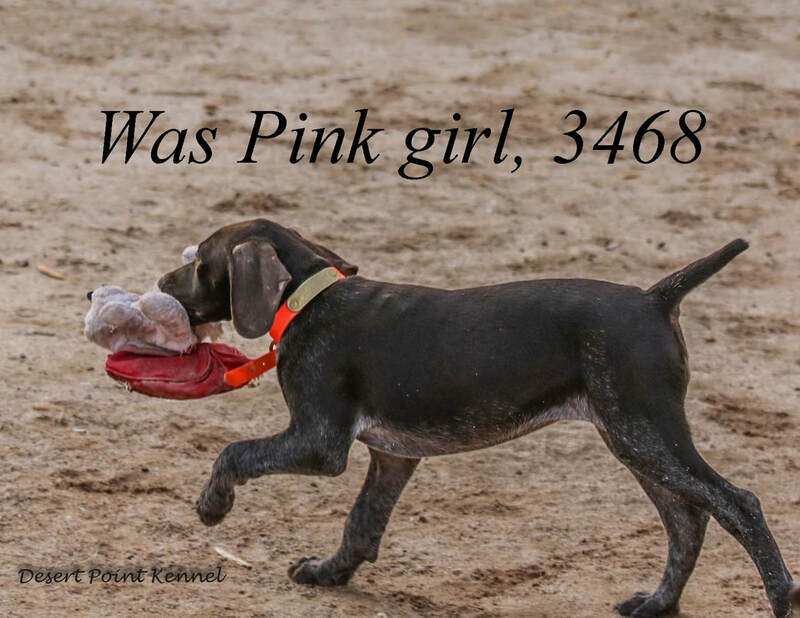 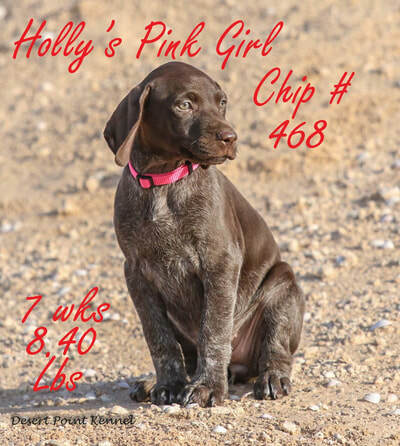 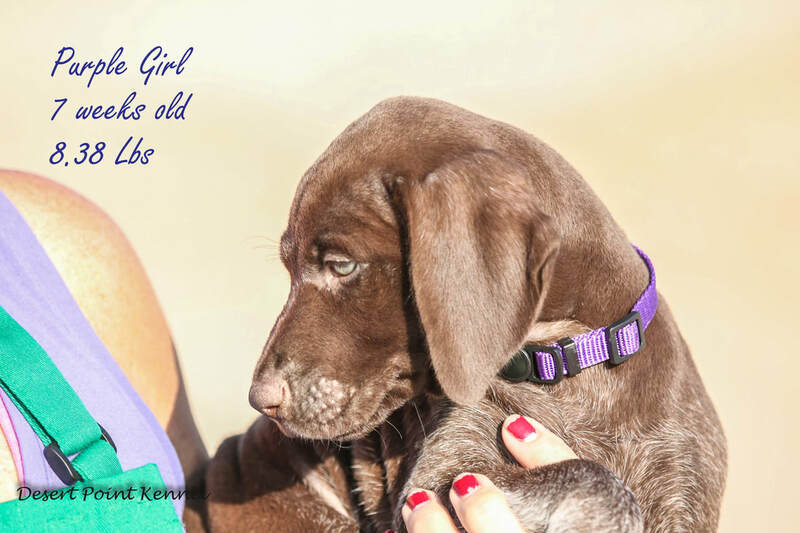 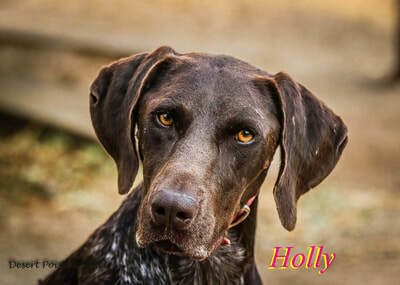 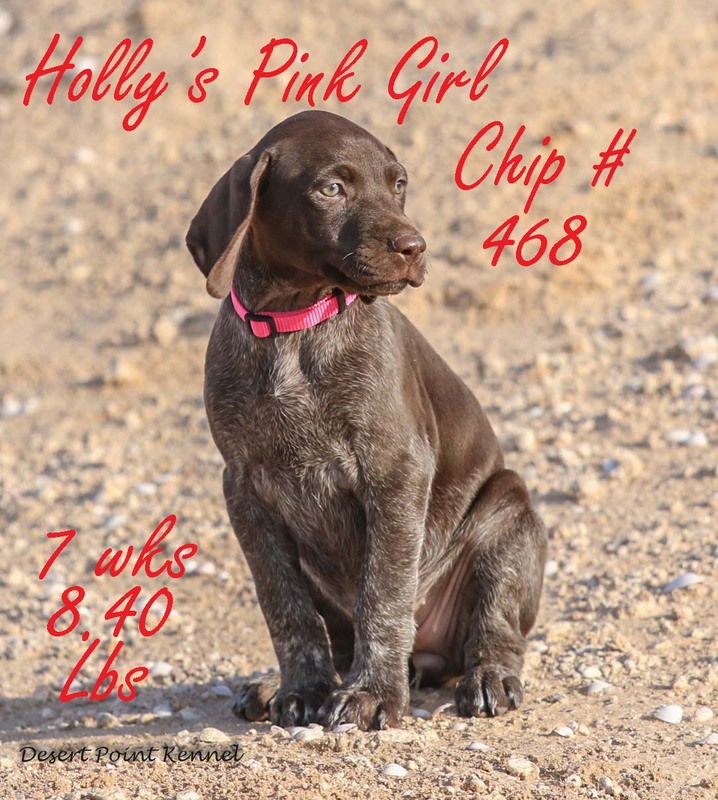 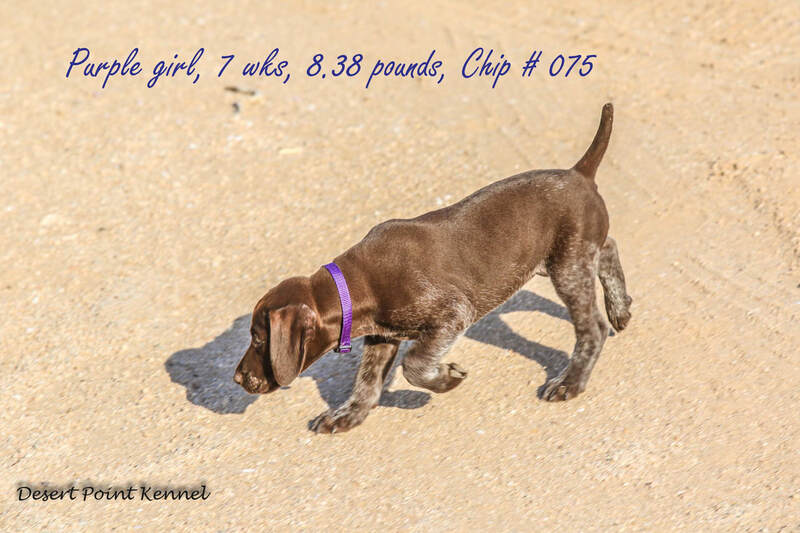 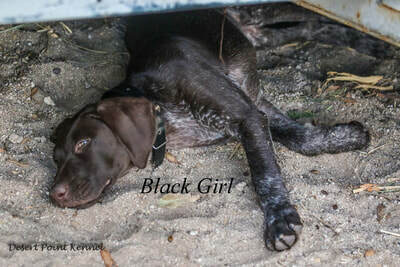 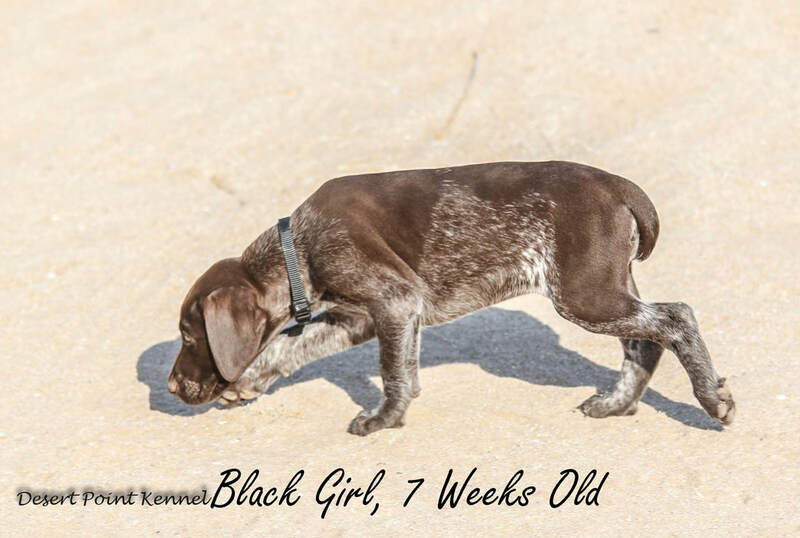 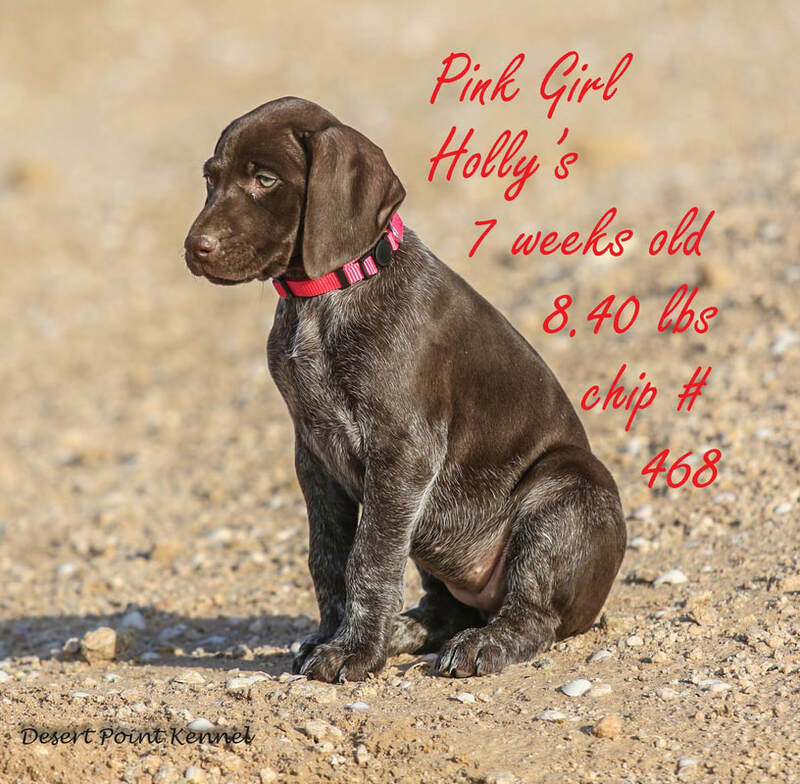 Holly's previous owner had AKC flag the owner certificate for an unknown reason. 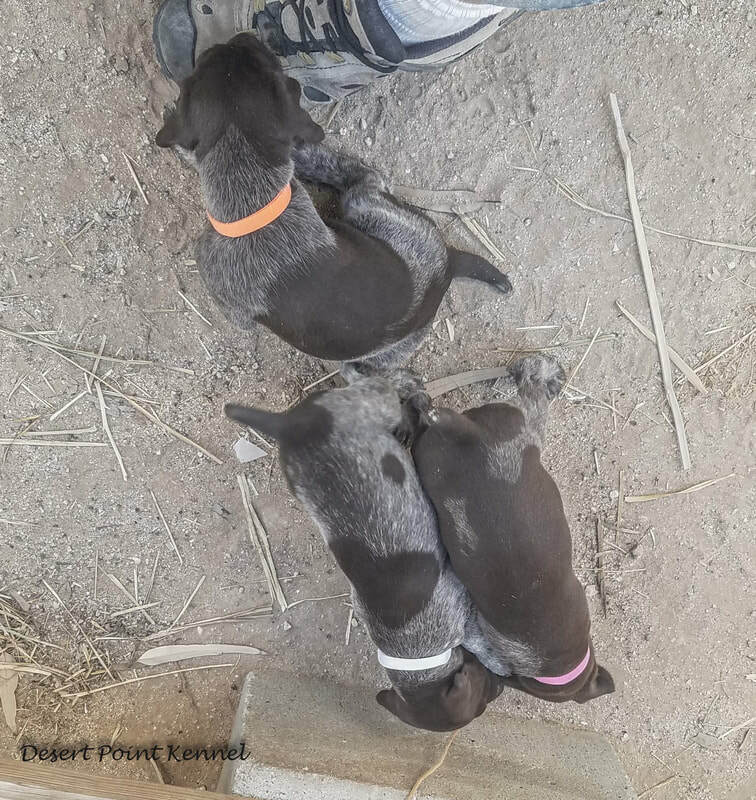 I am confident that this will clear, but there is a slight chance that the litter may not be registered. So if you are considering breeding skip this litter, other wise registration is of little concern. 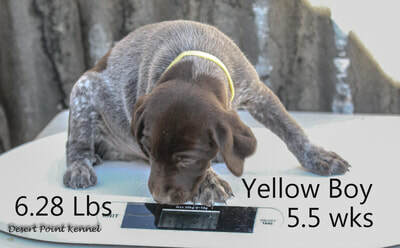 All parents have health clearances. Price $800.00. 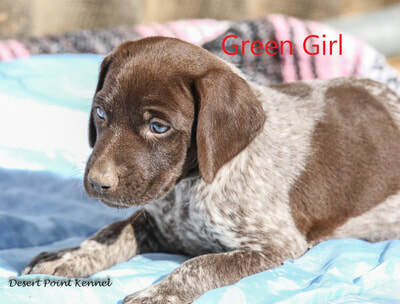 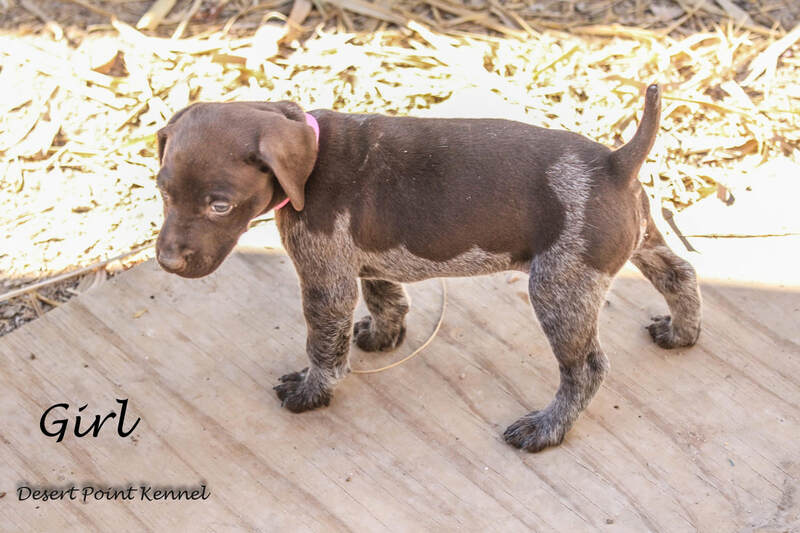 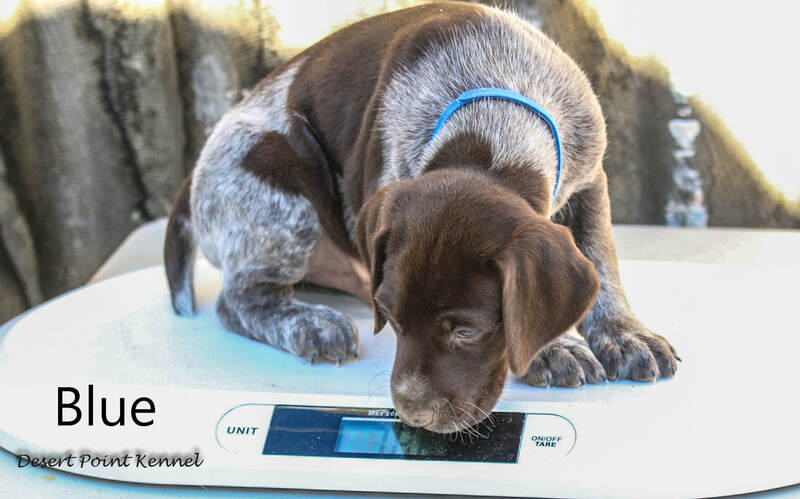 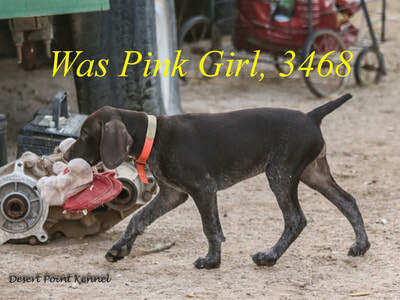 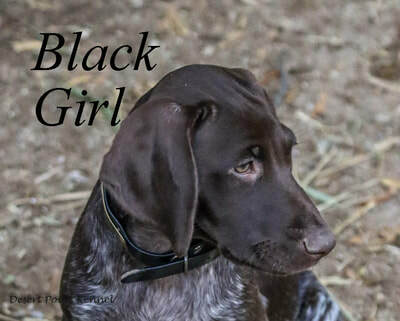 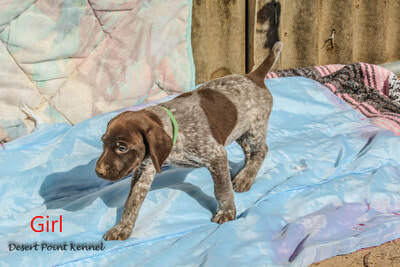 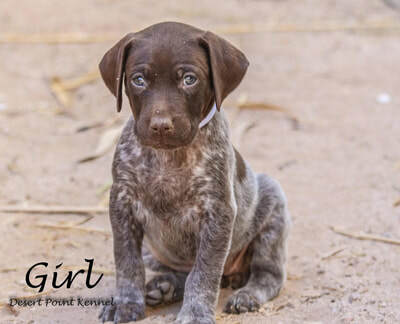 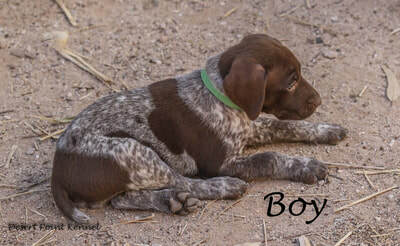 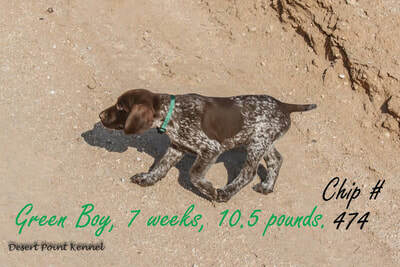 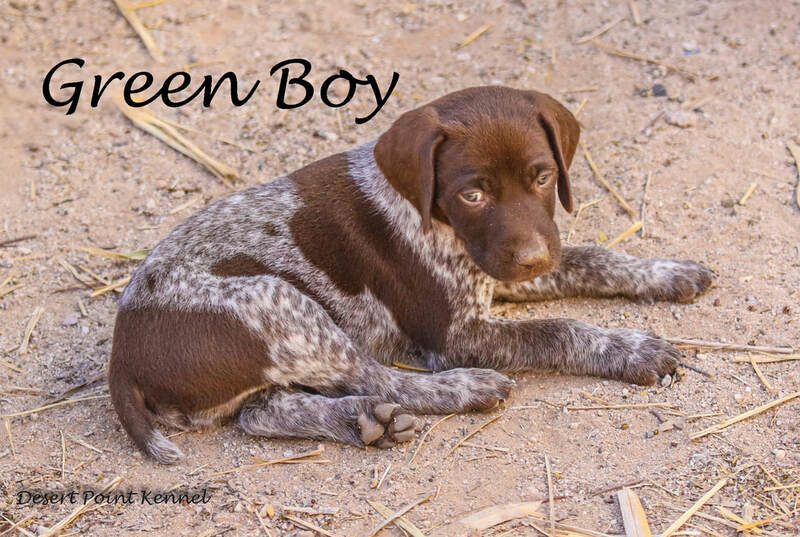 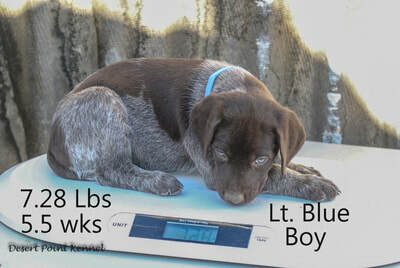 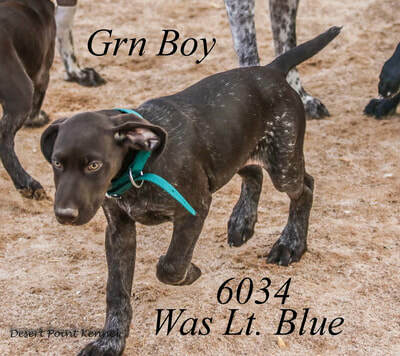 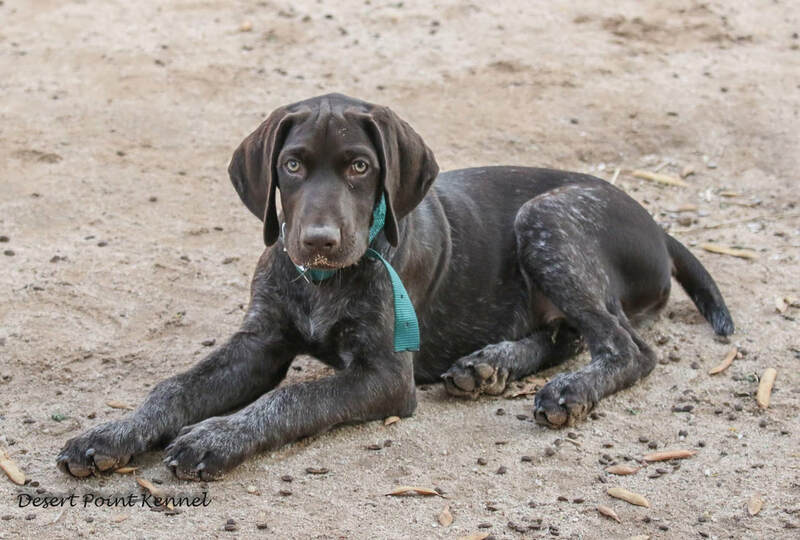 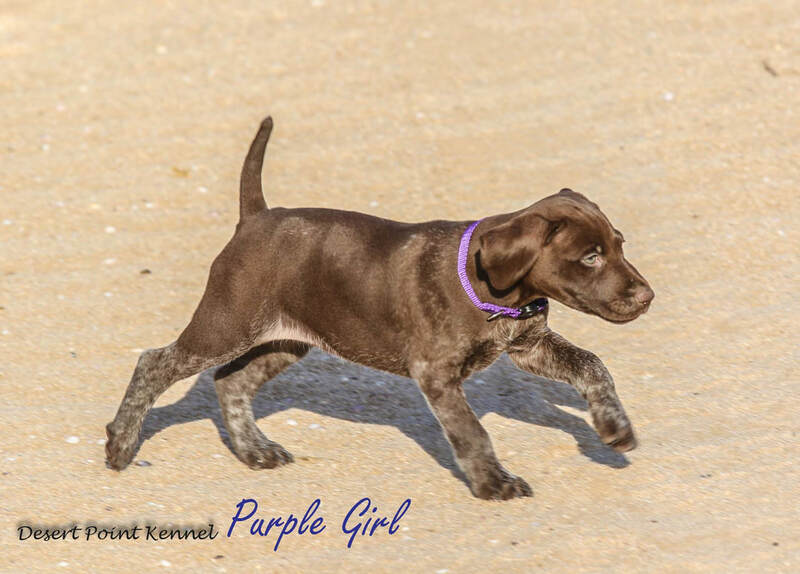 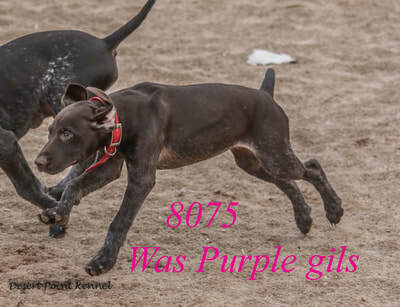 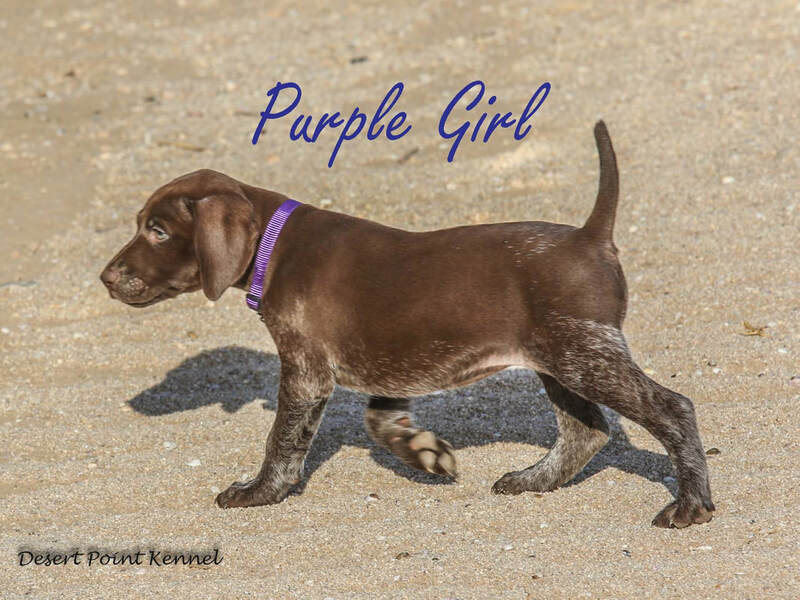 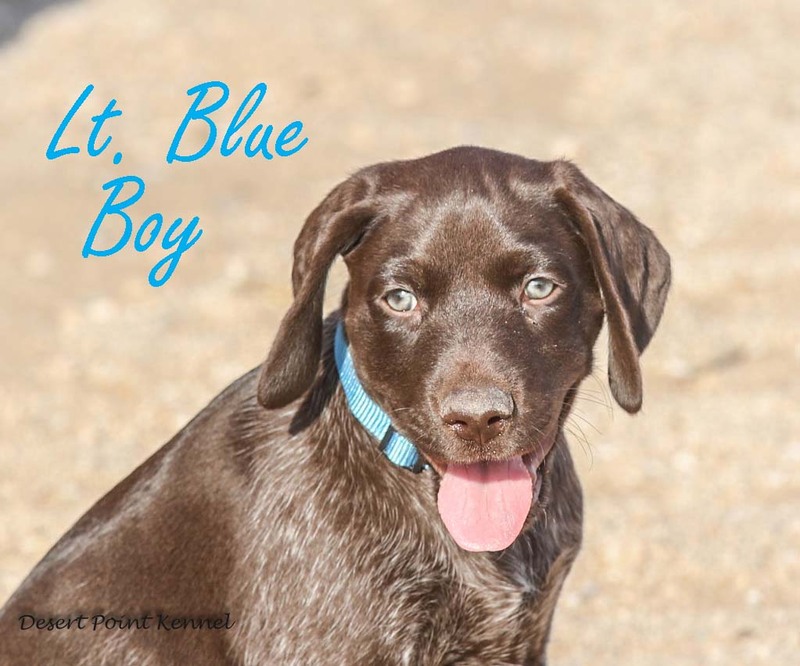 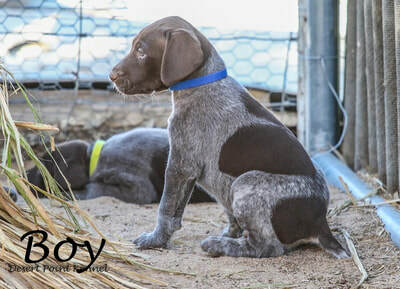 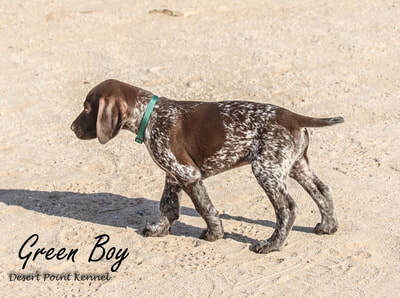 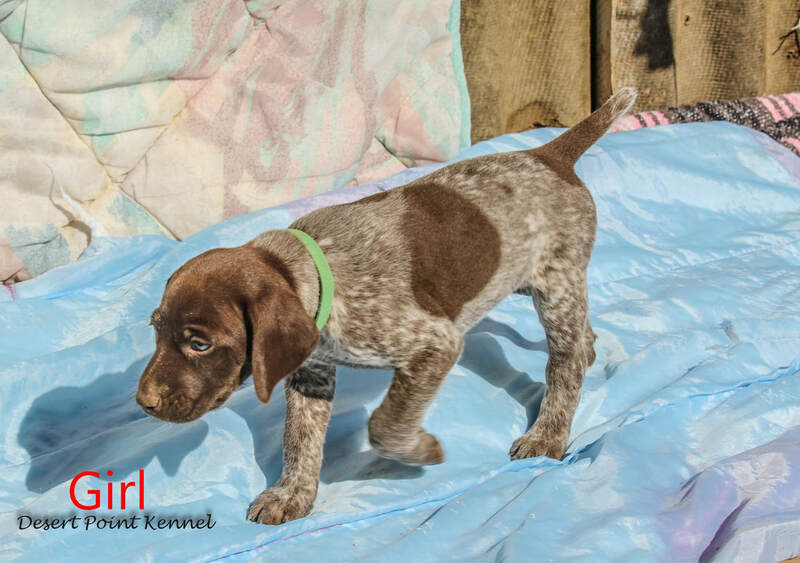 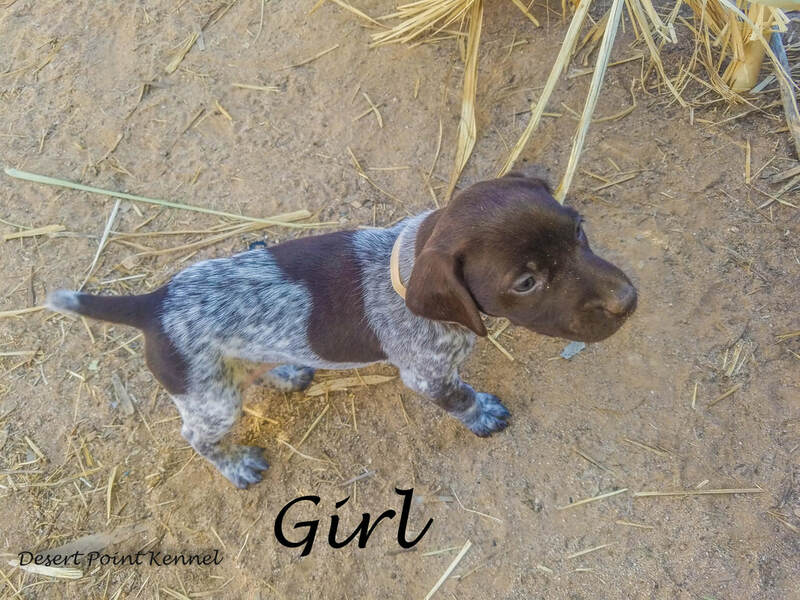 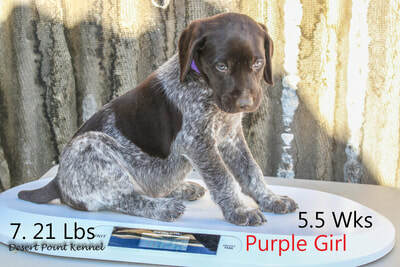 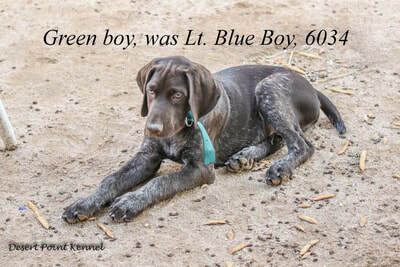 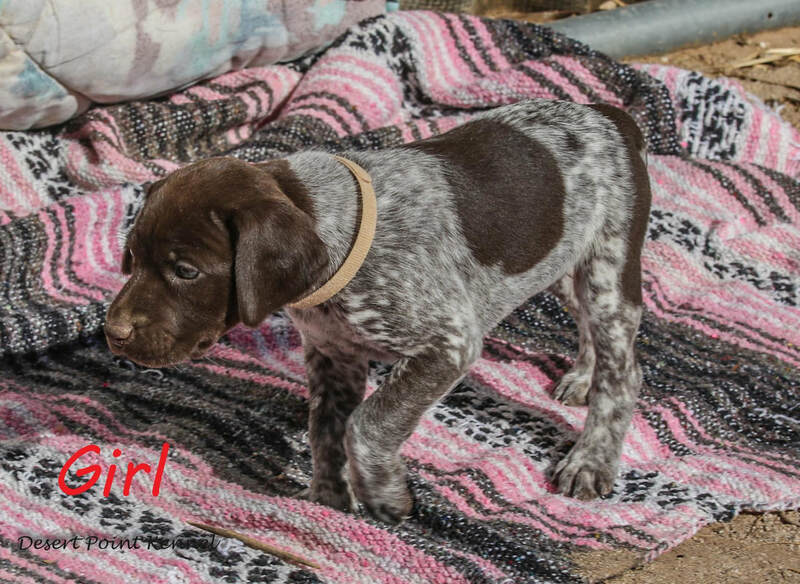 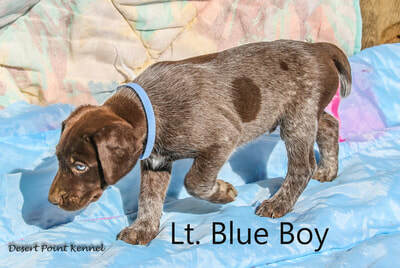 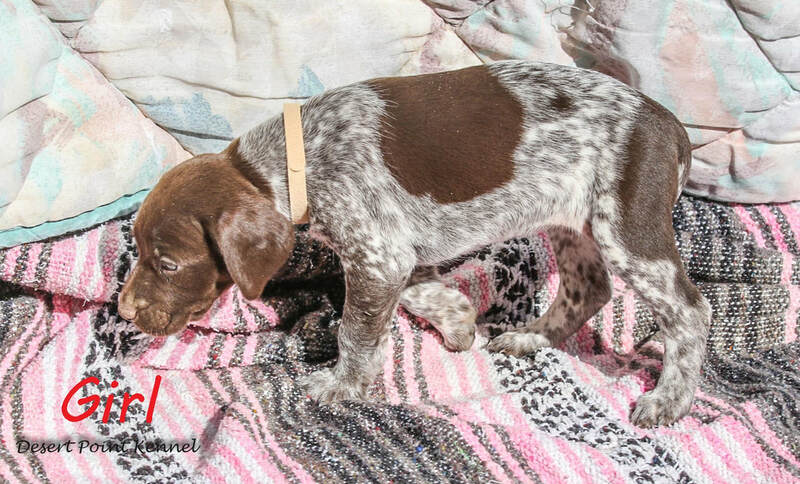 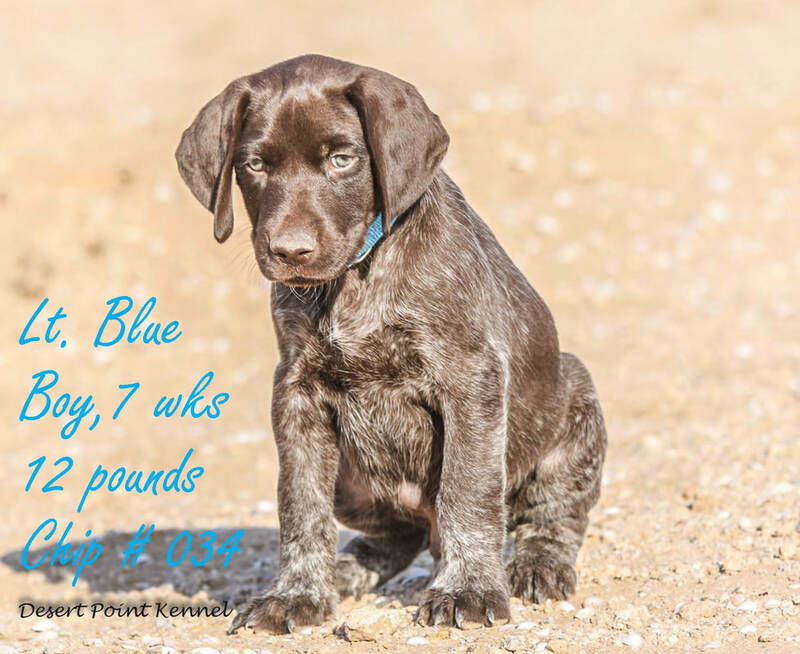 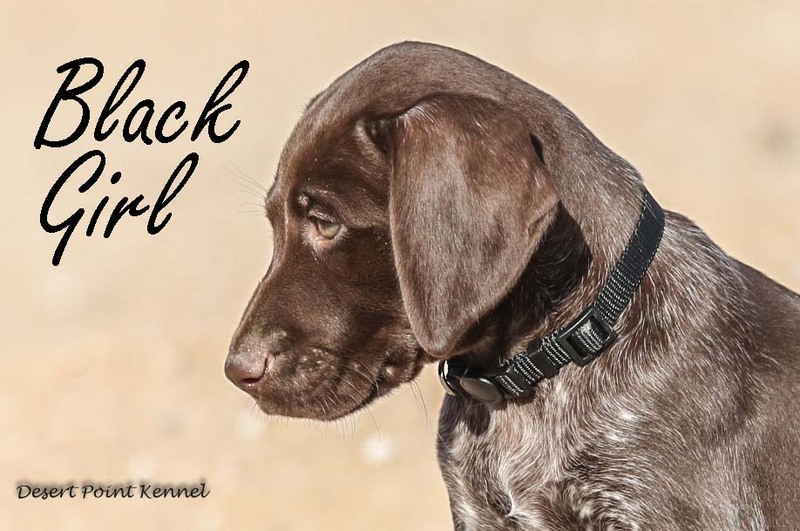 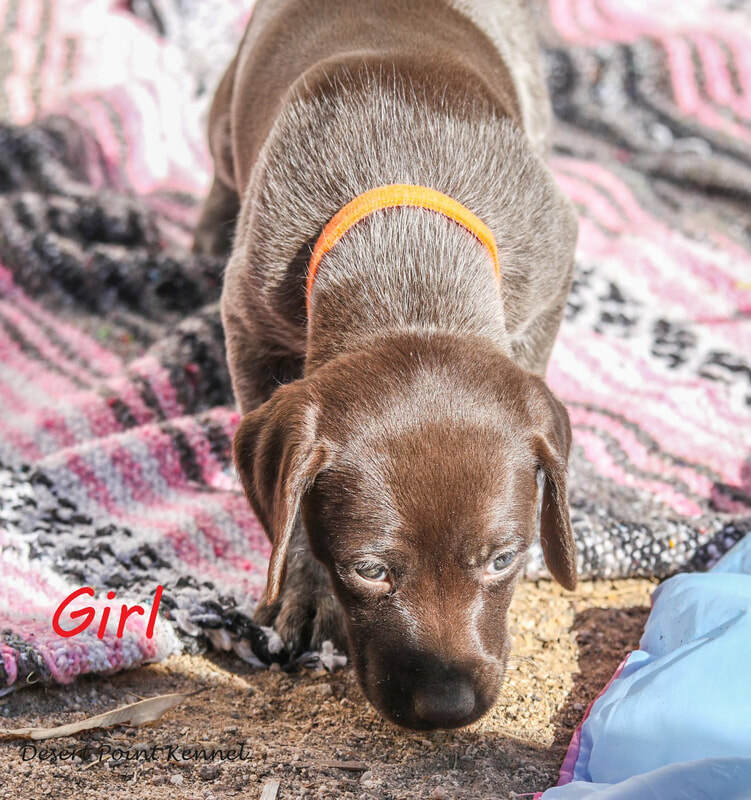 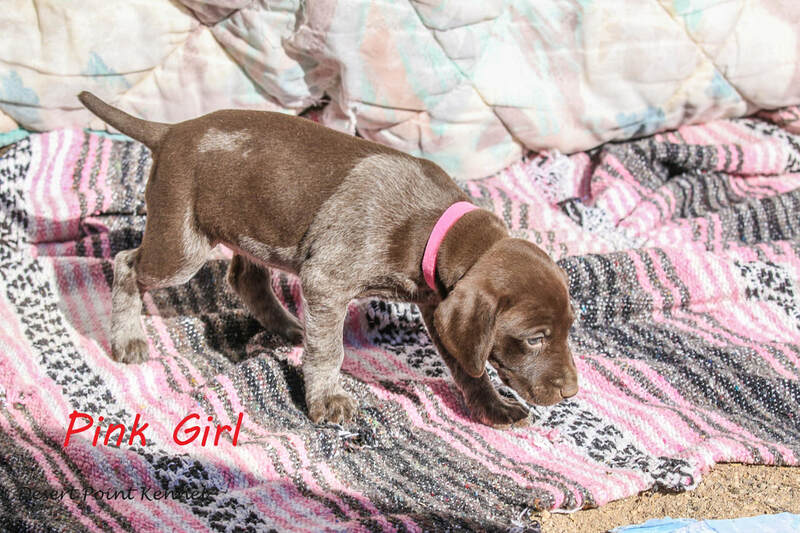 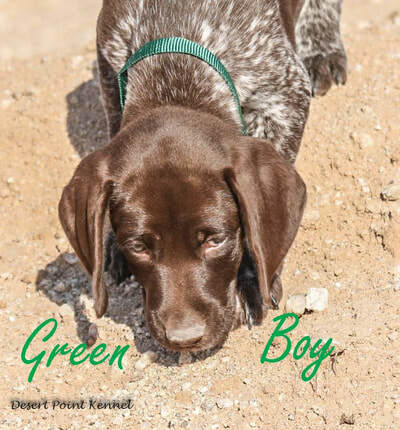 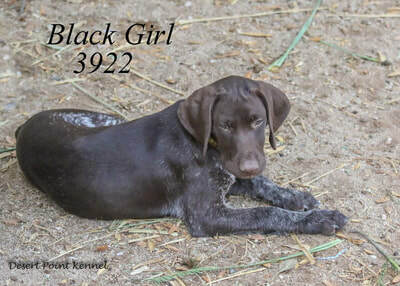 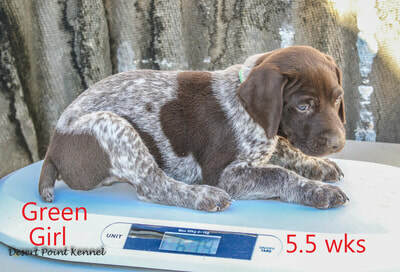 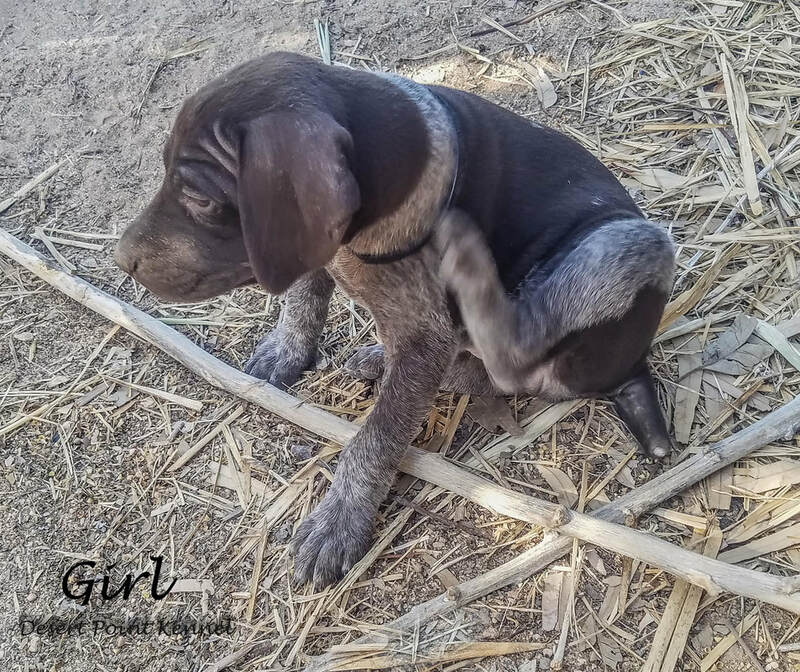 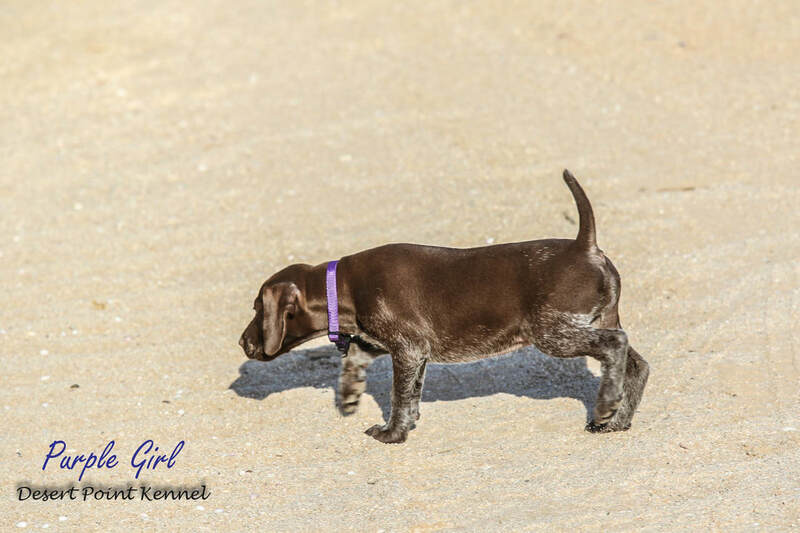 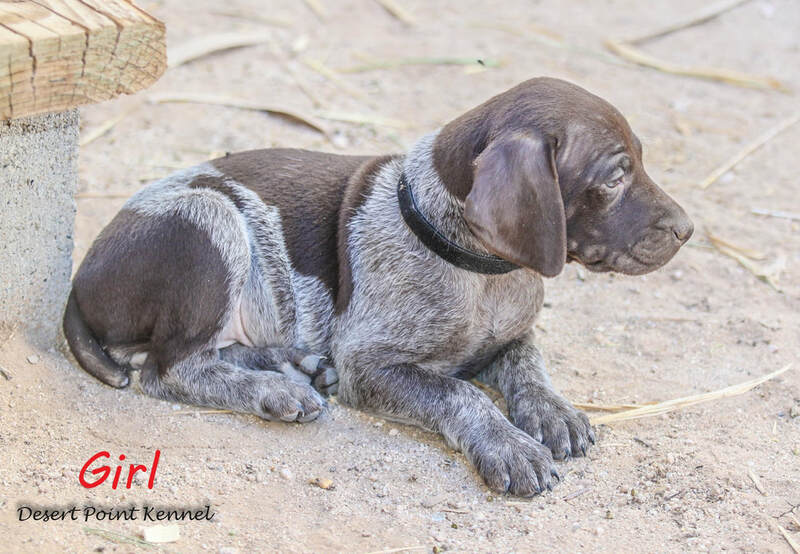 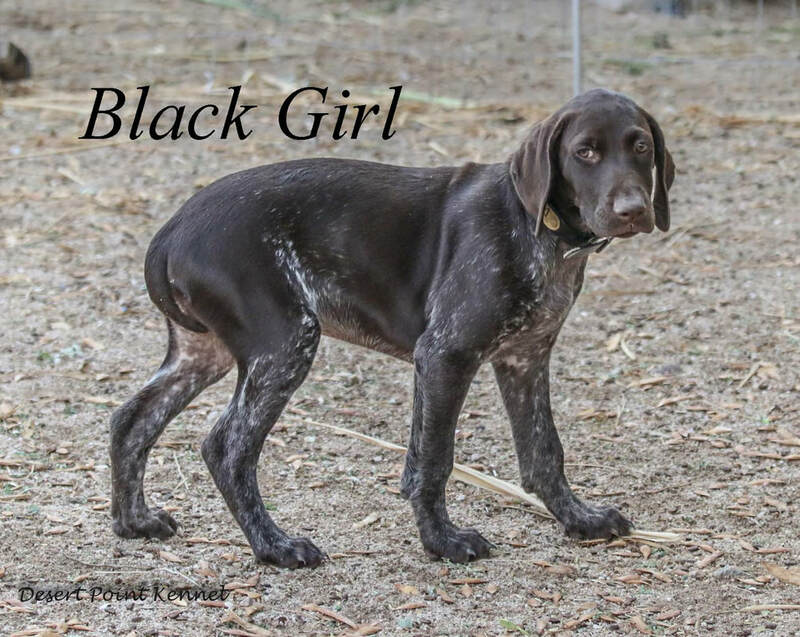 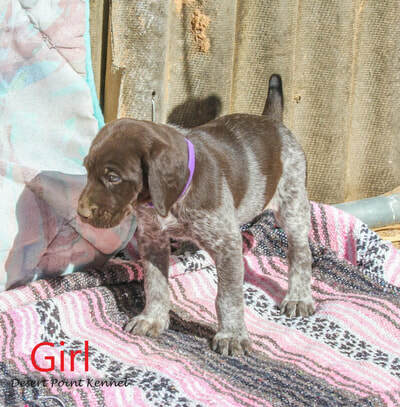 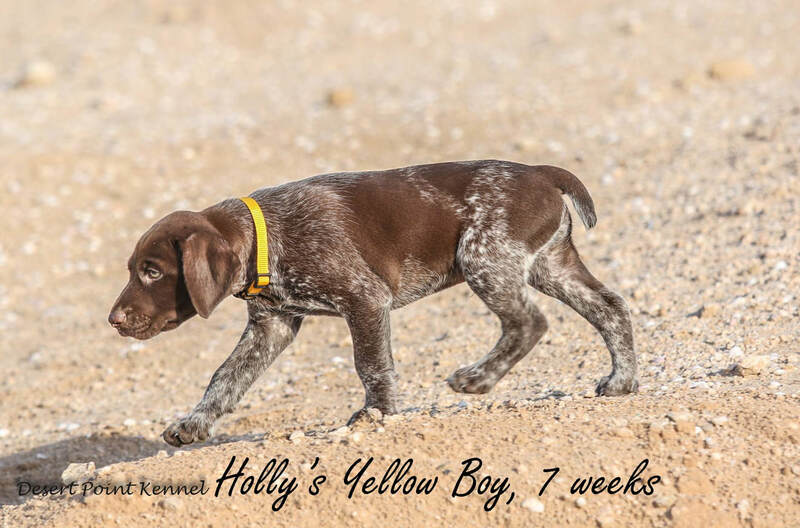 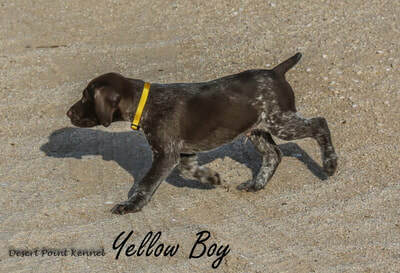 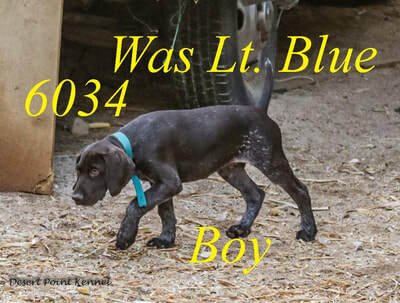 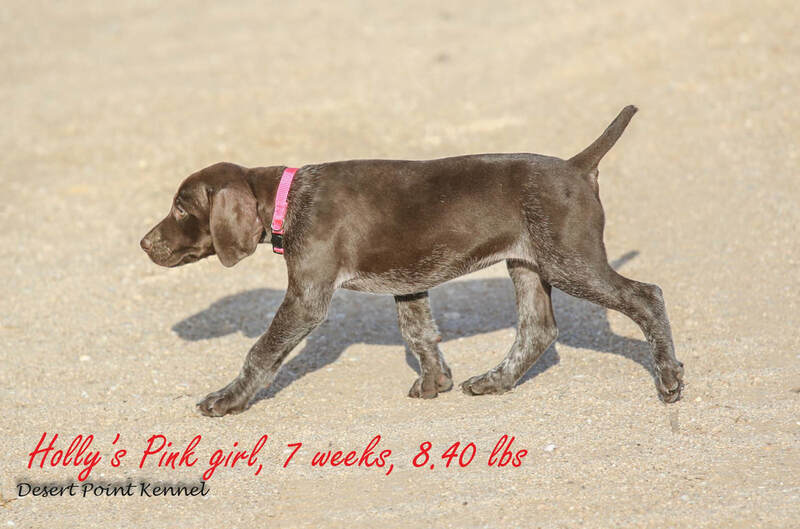 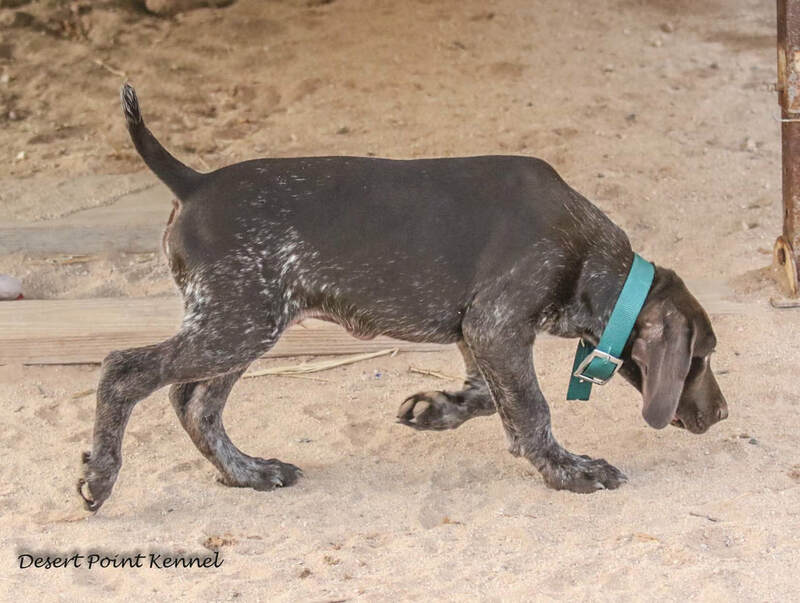 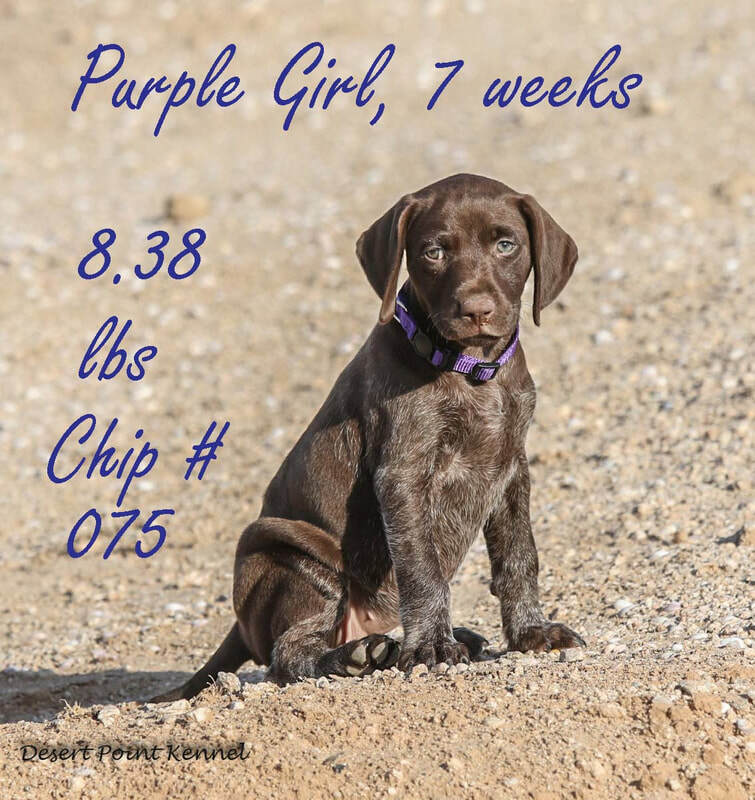 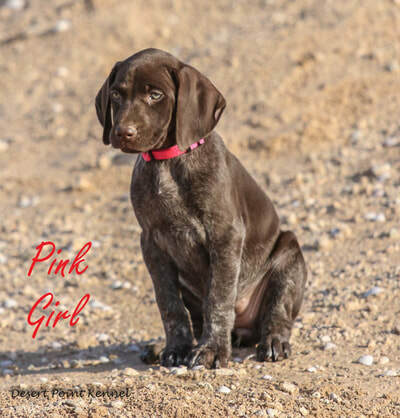 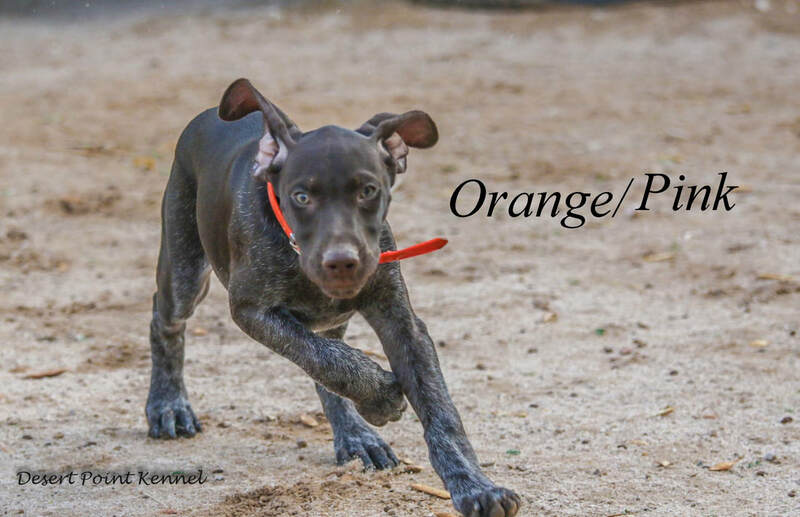 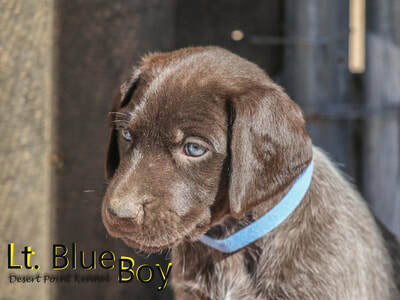 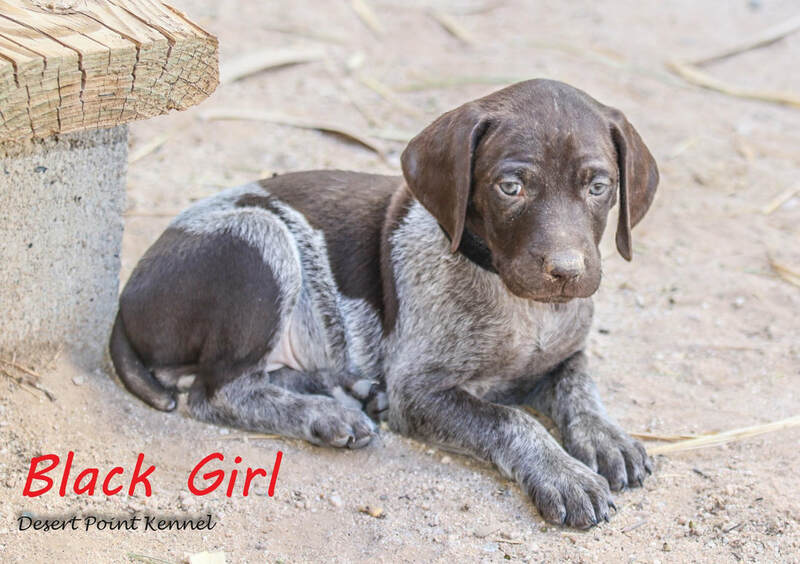 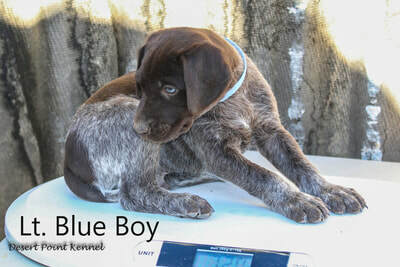 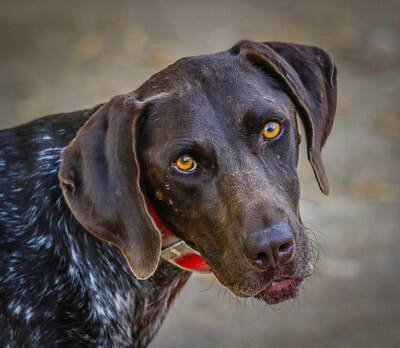 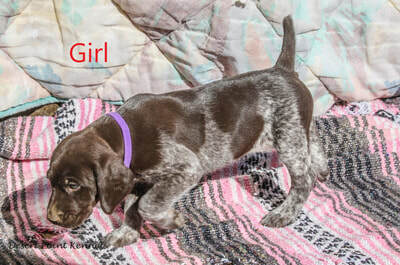 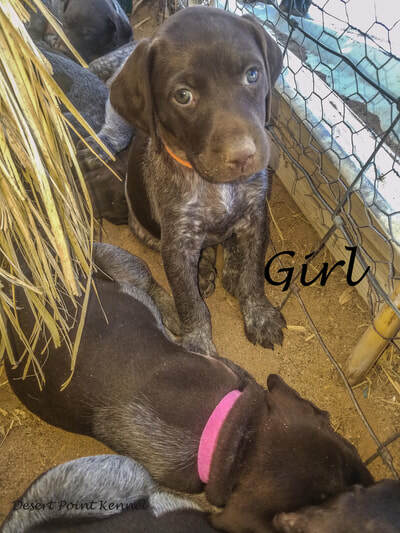 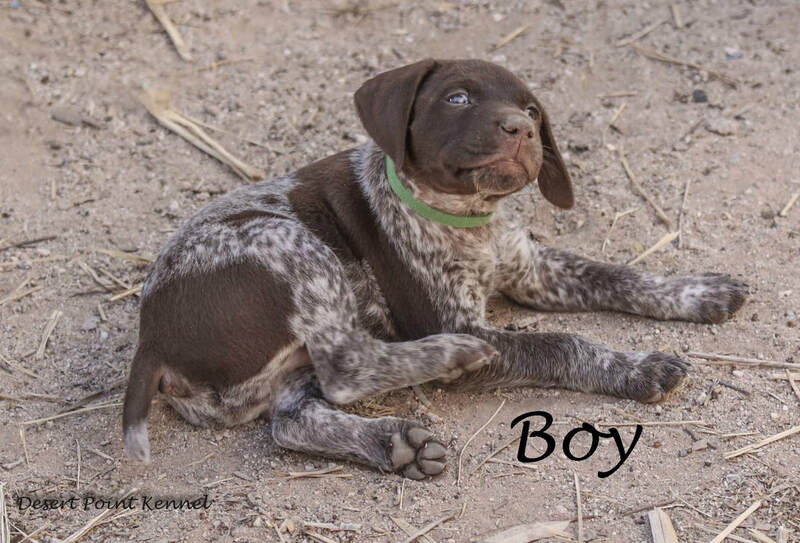 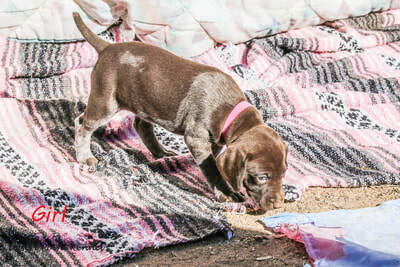 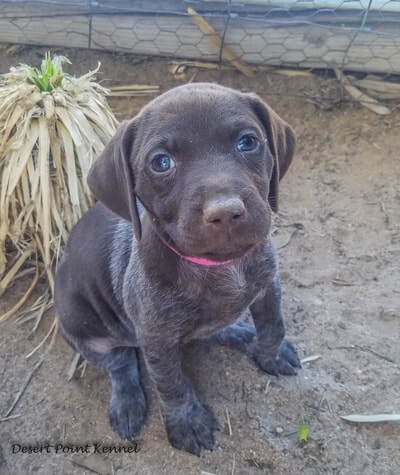 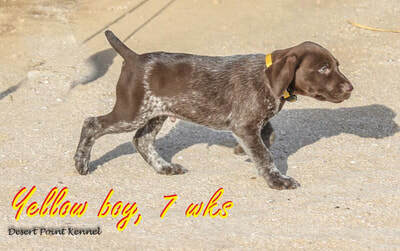 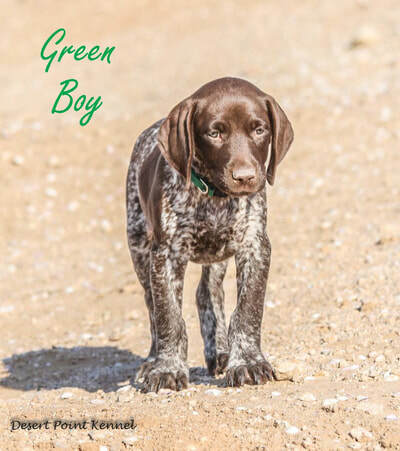 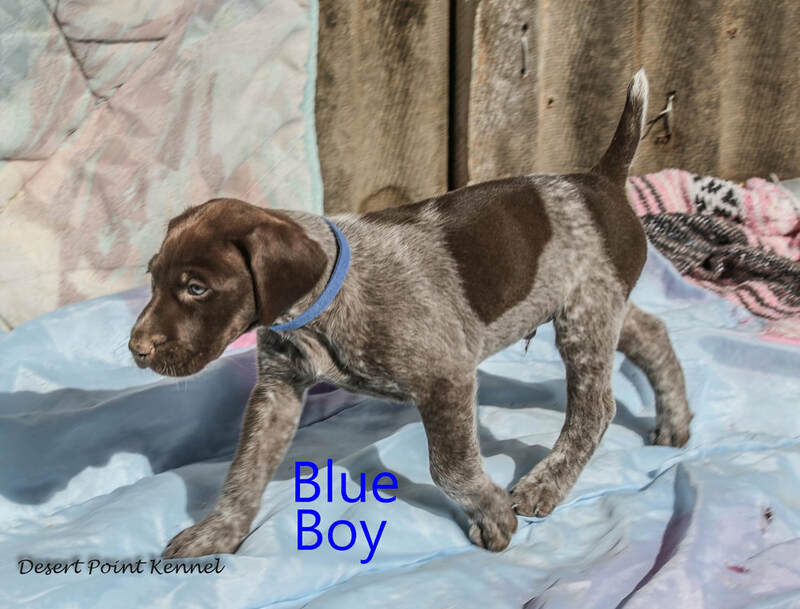 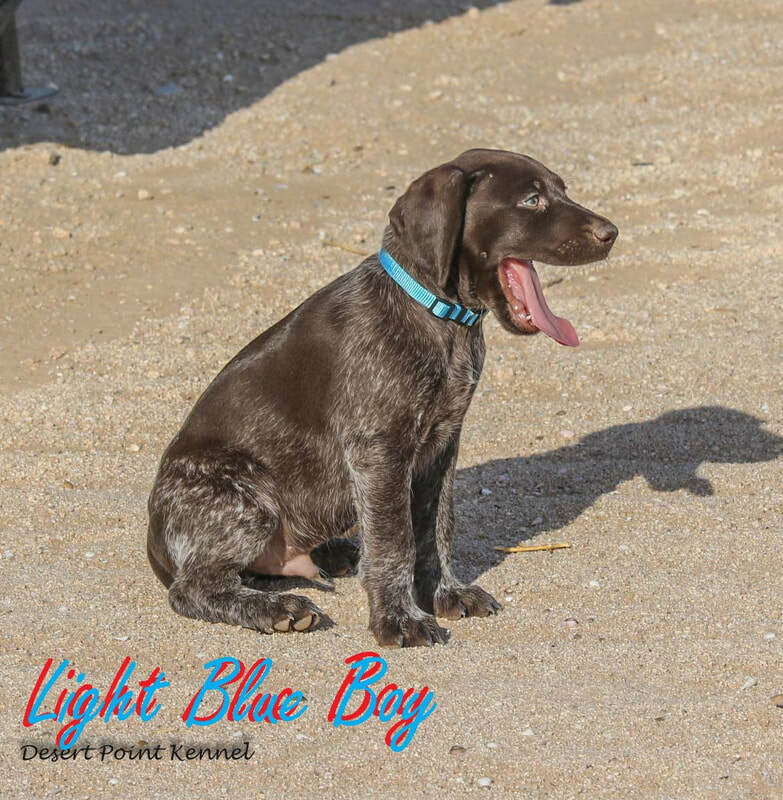 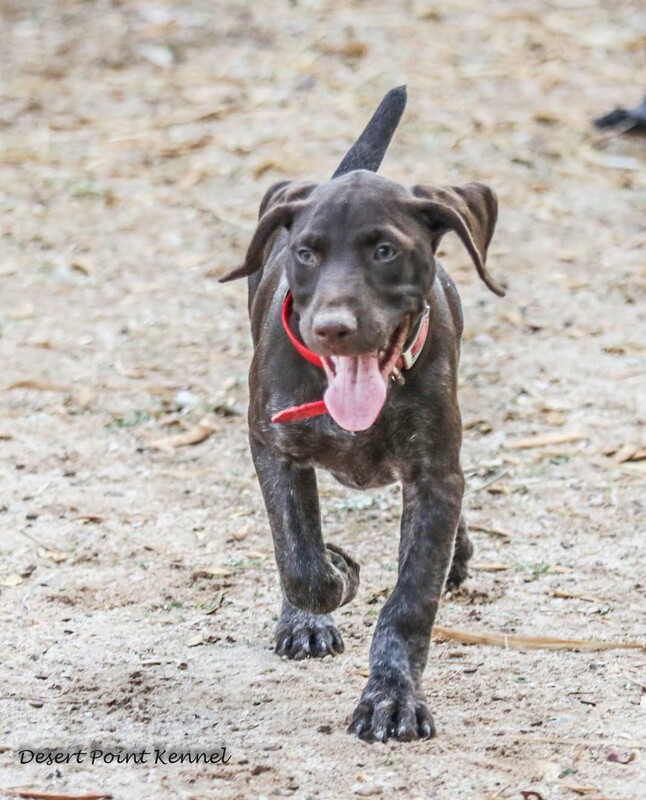 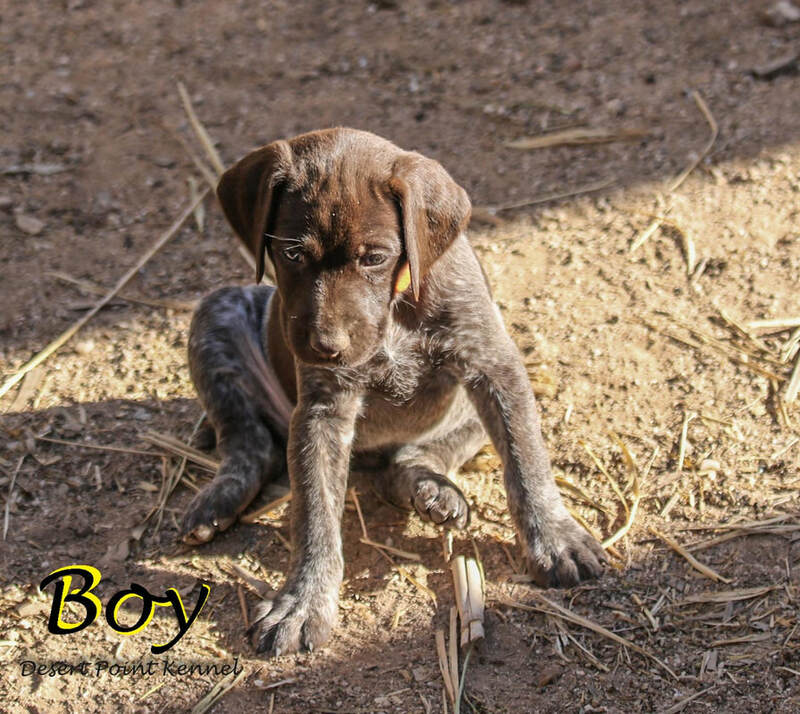 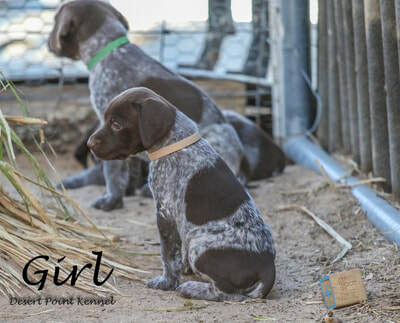 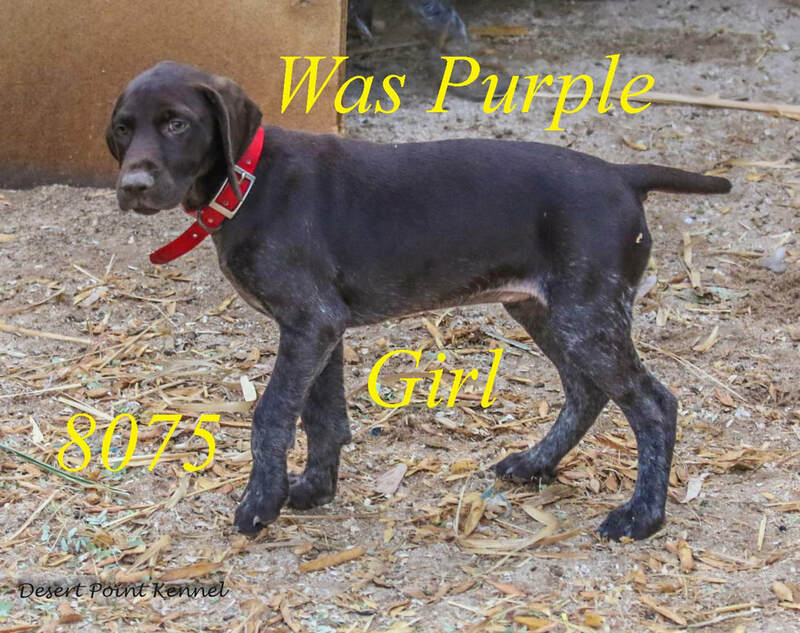 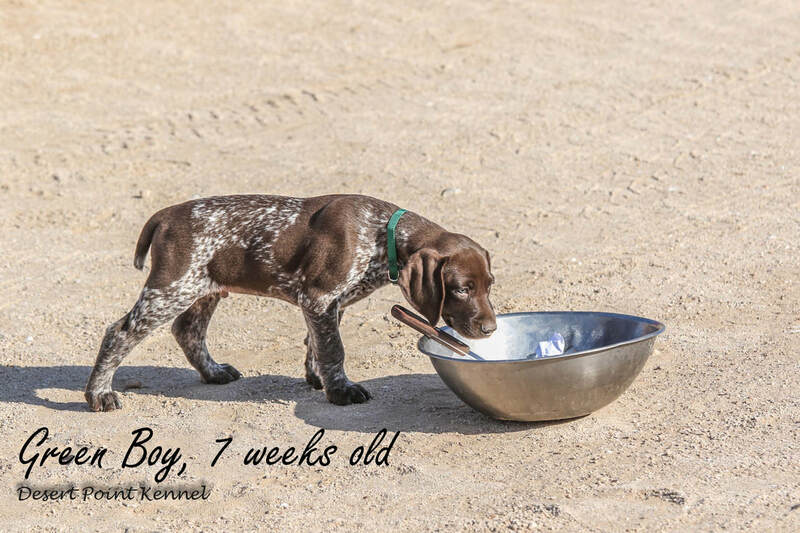 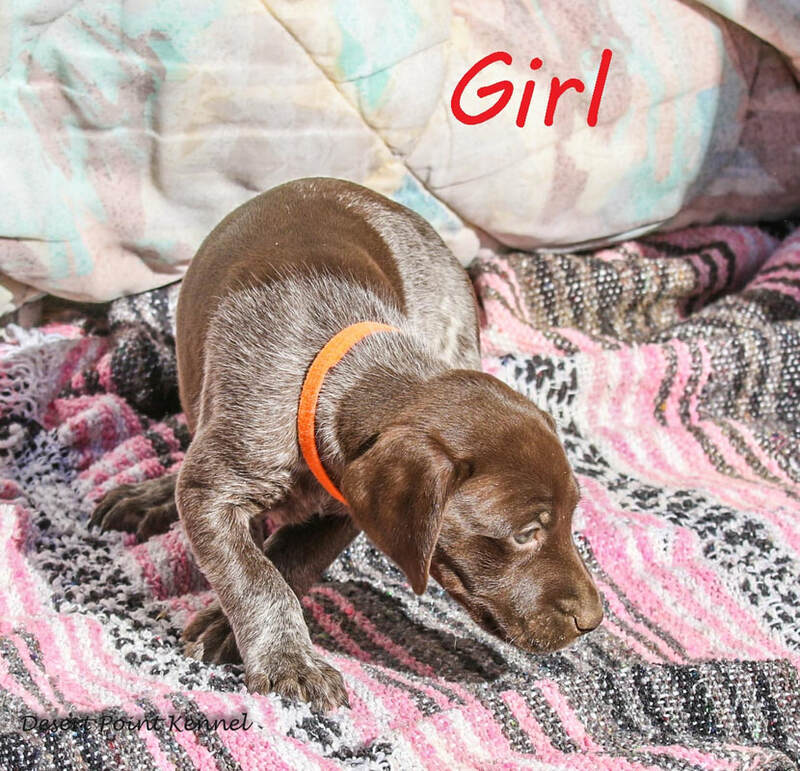 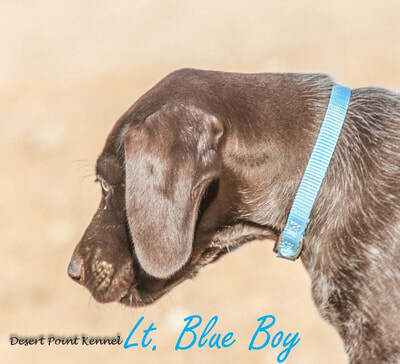 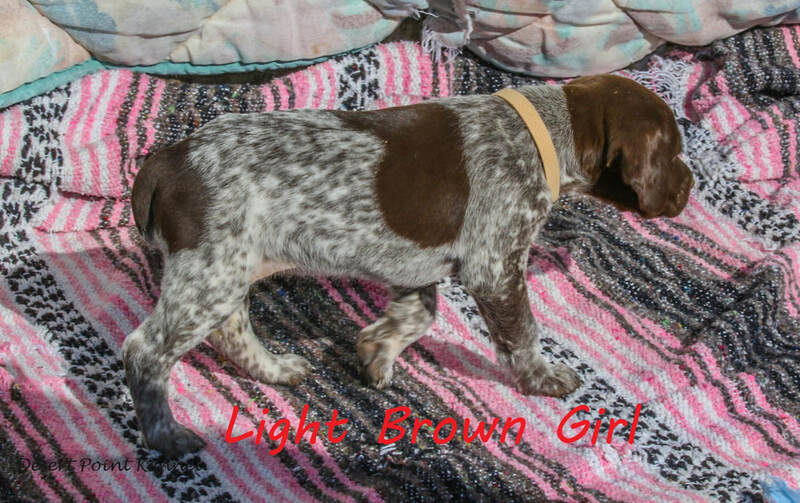 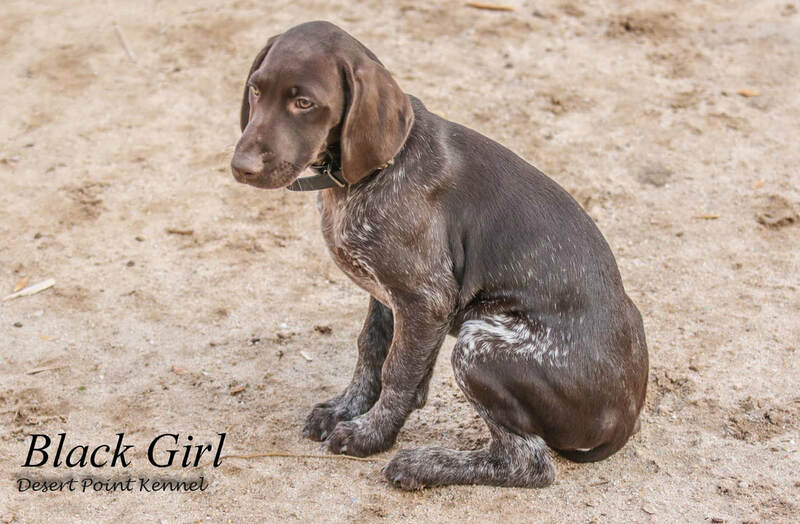 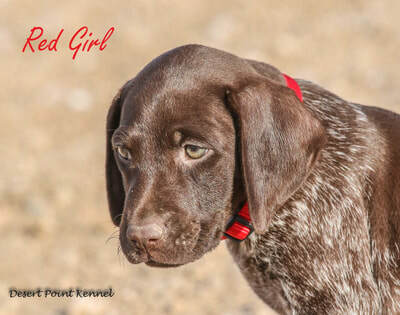 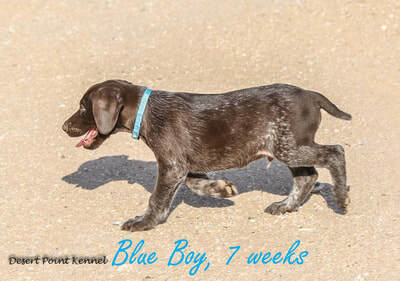 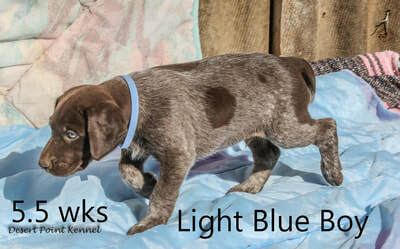 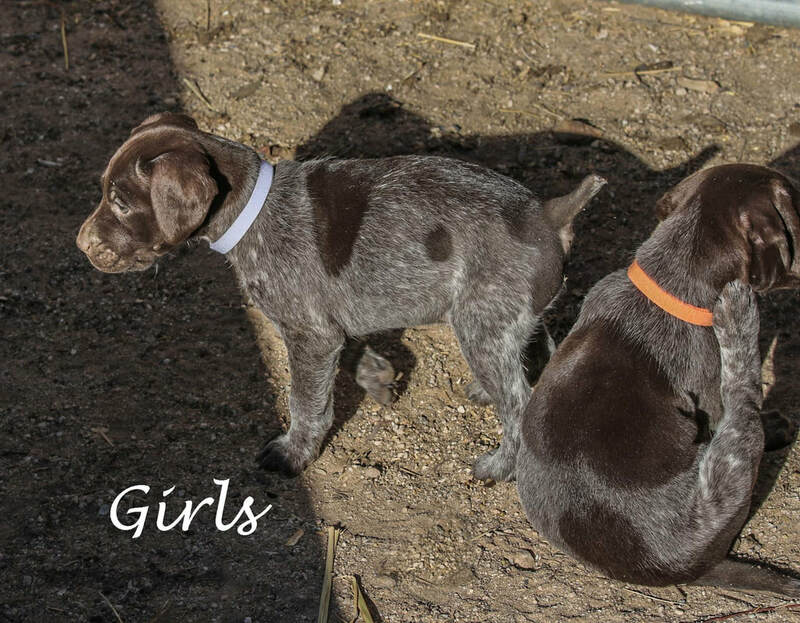 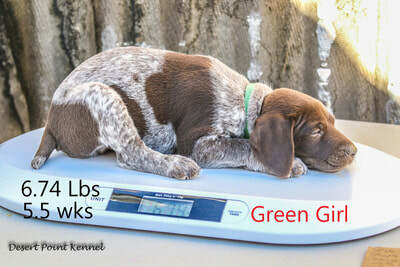 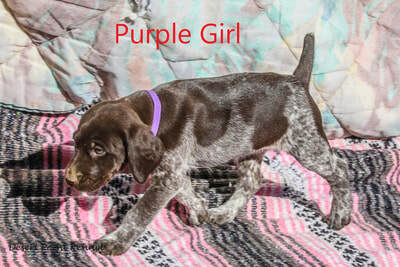 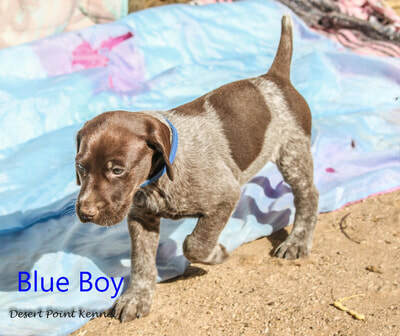 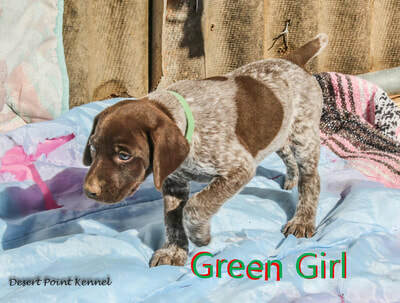 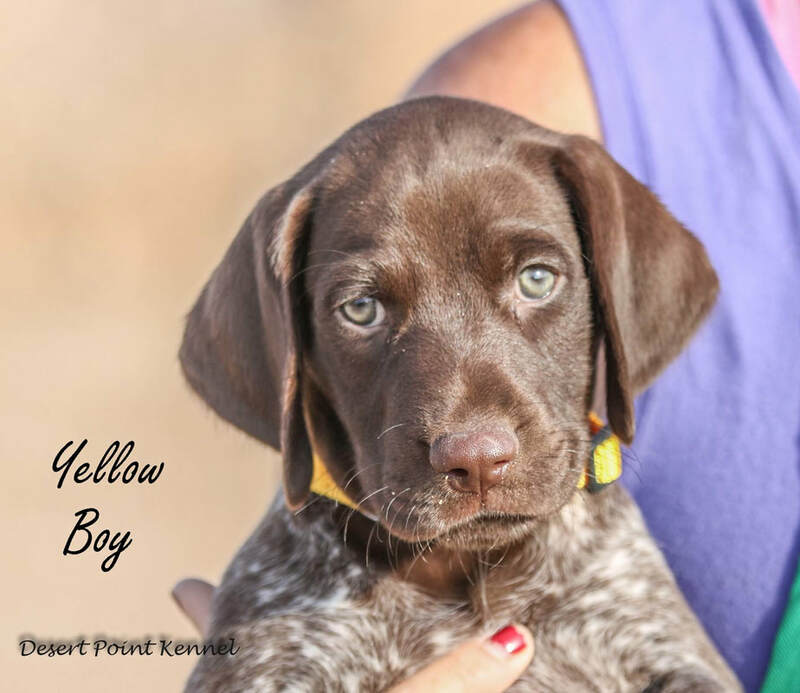 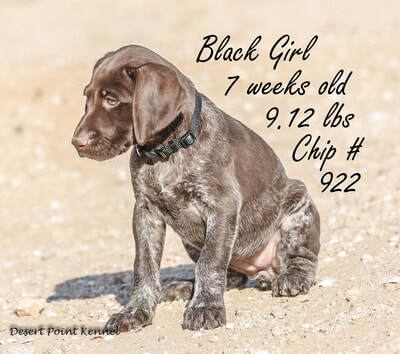 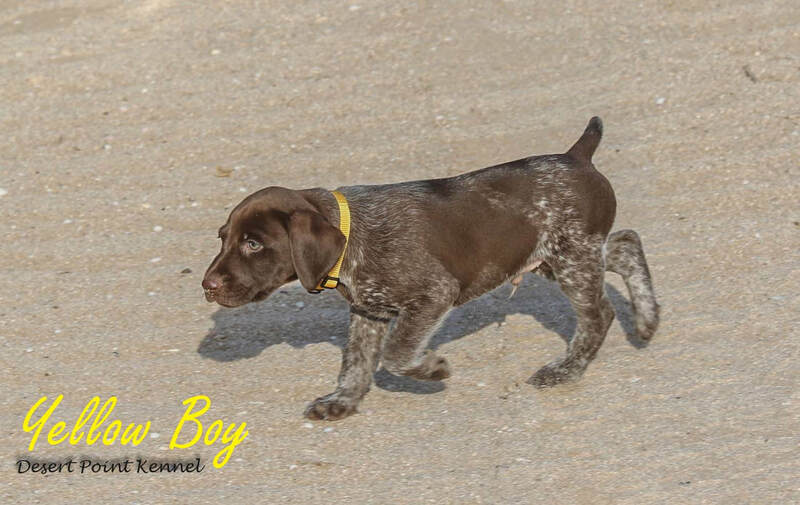 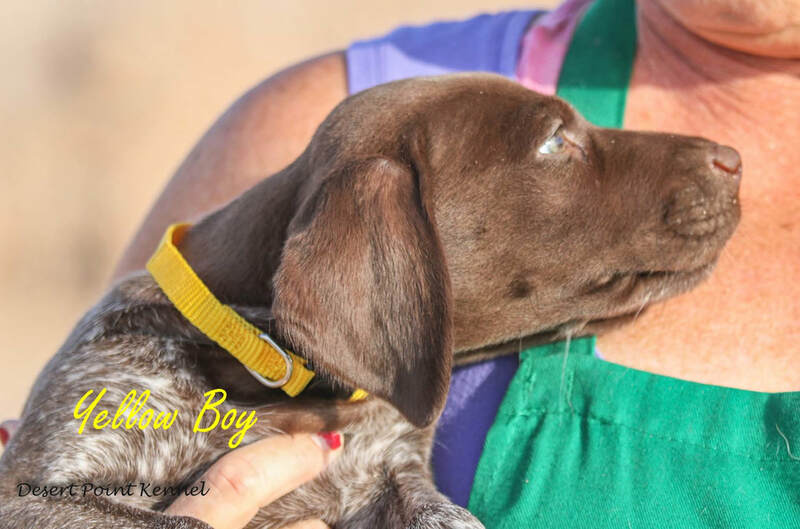 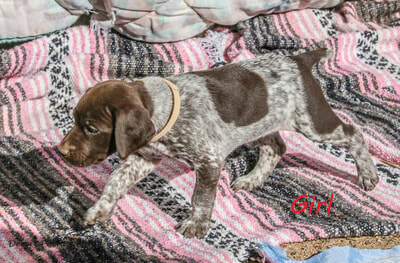 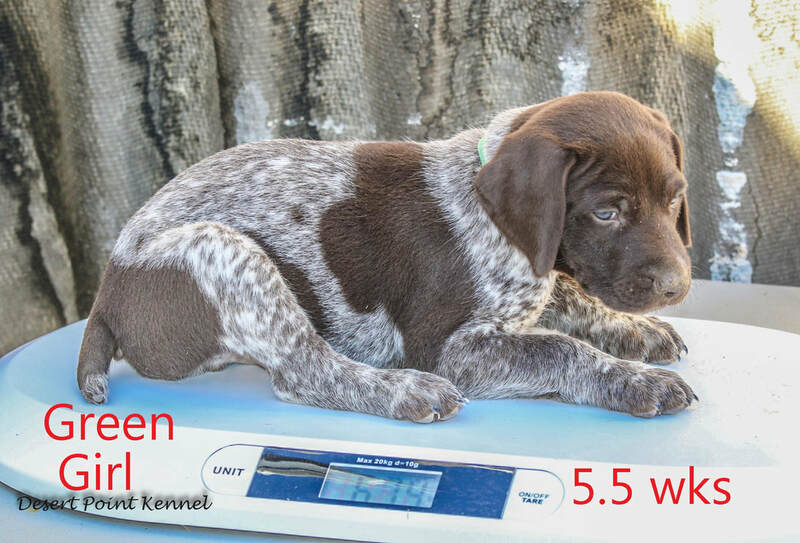 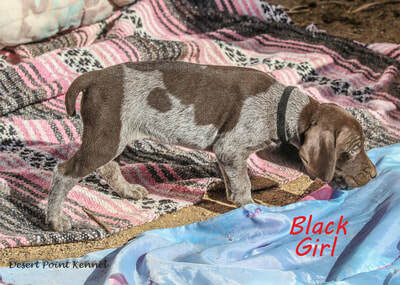 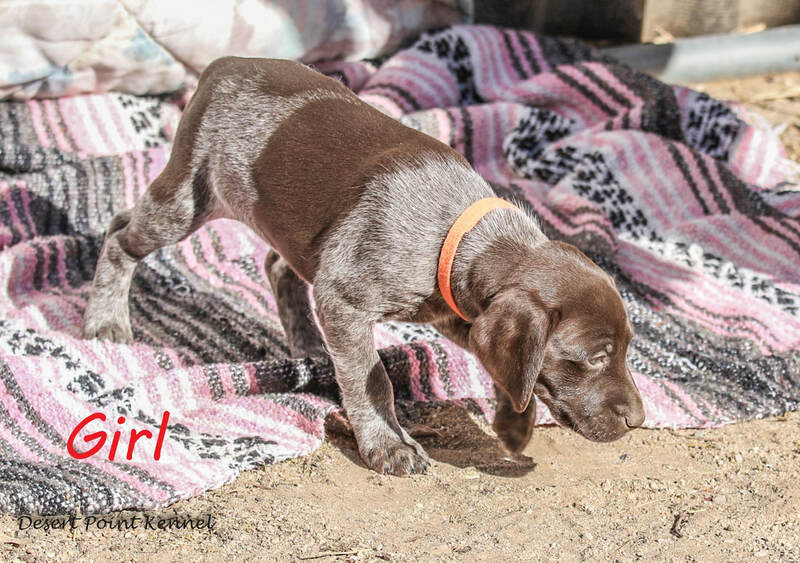 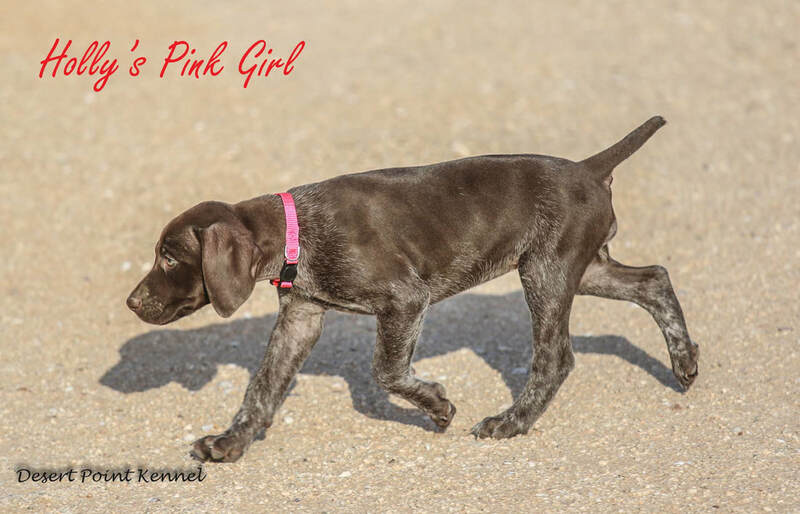 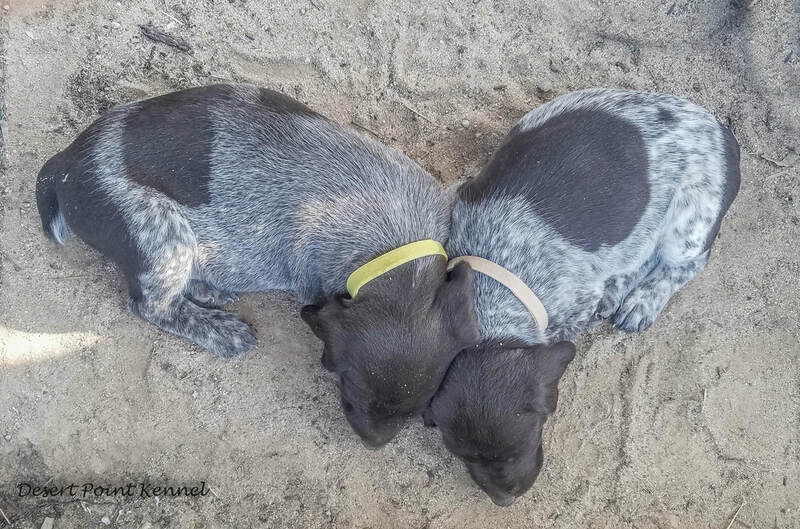 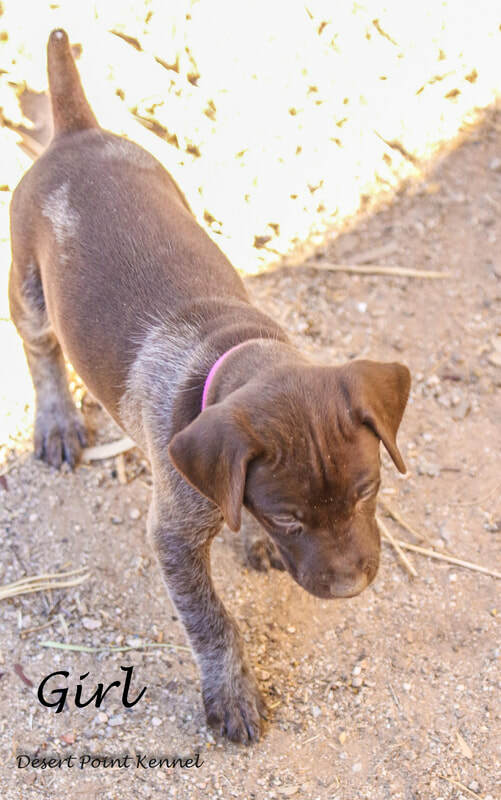 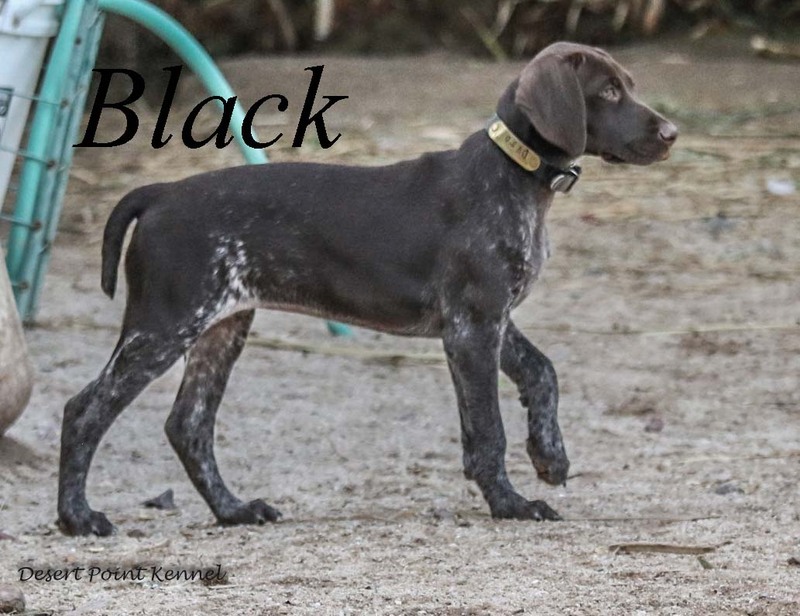 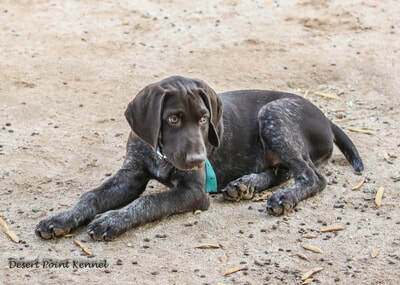 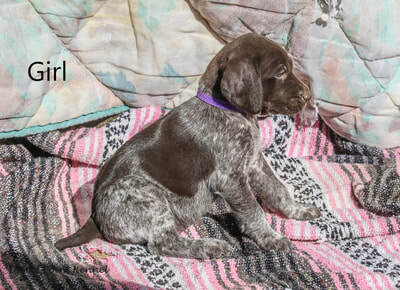 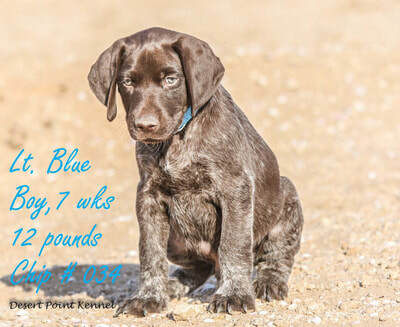 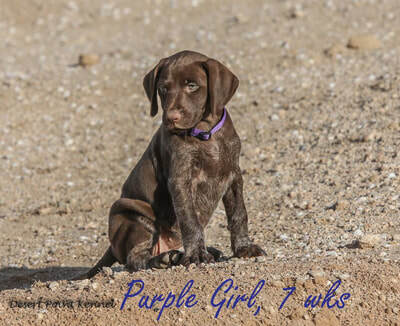 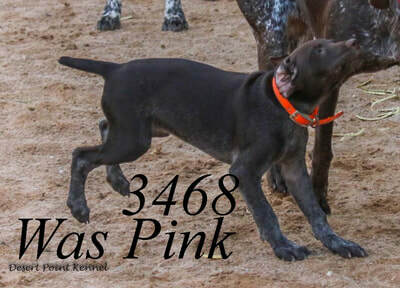 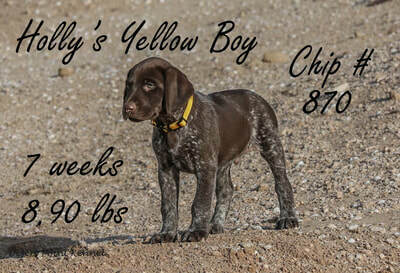 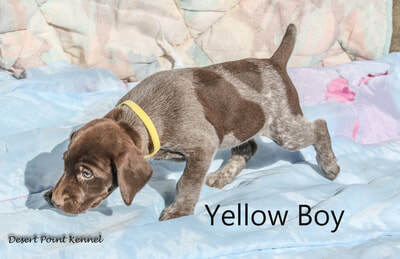 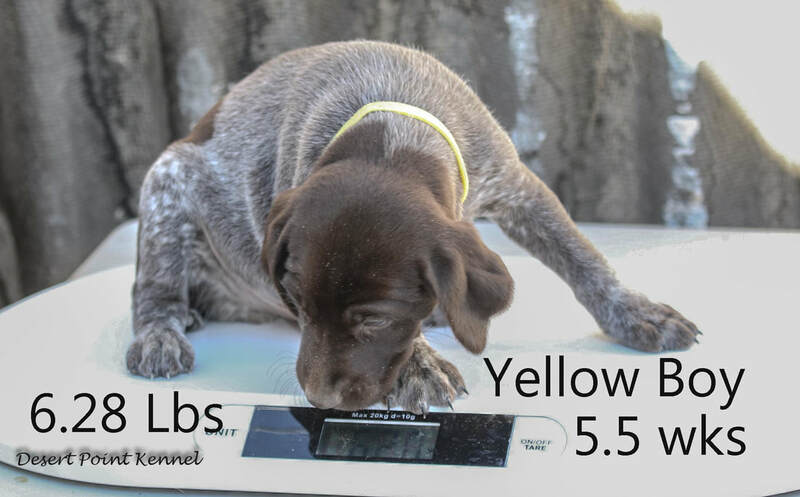 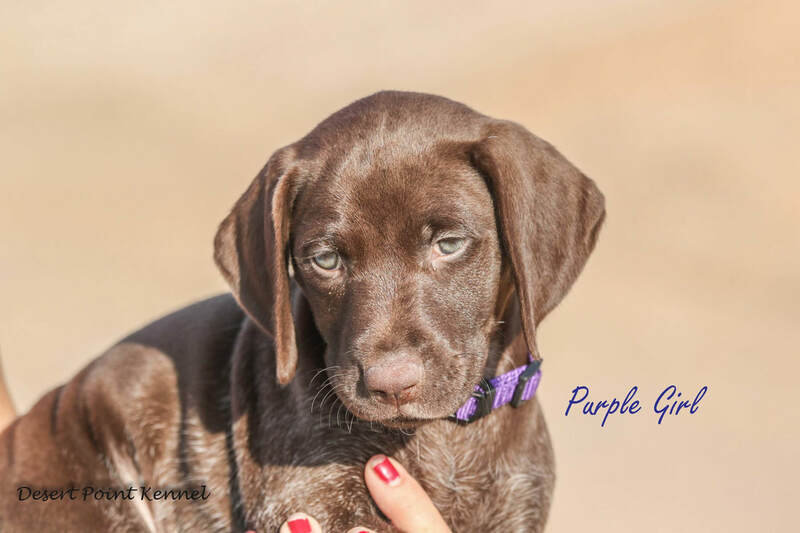 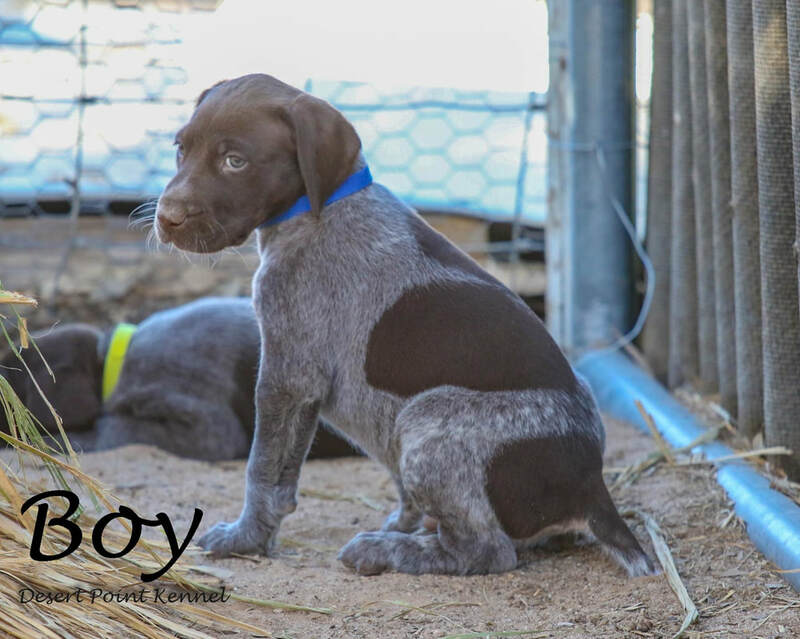 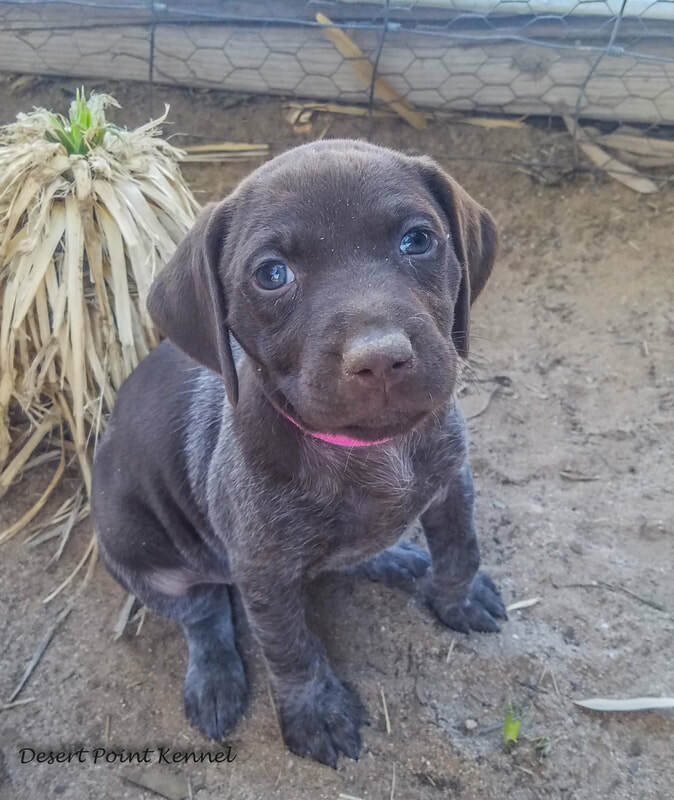 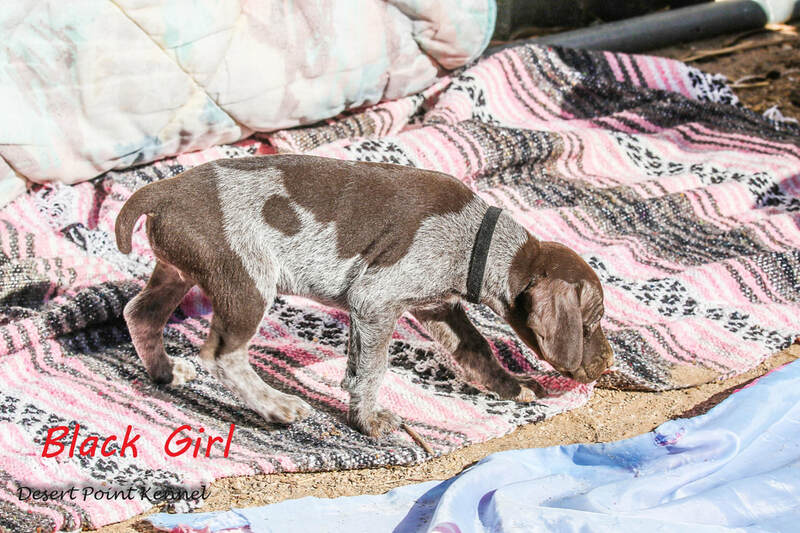 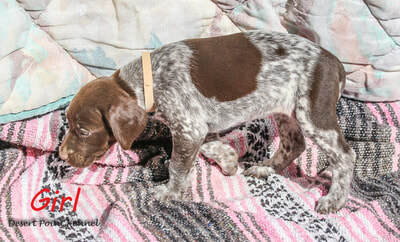 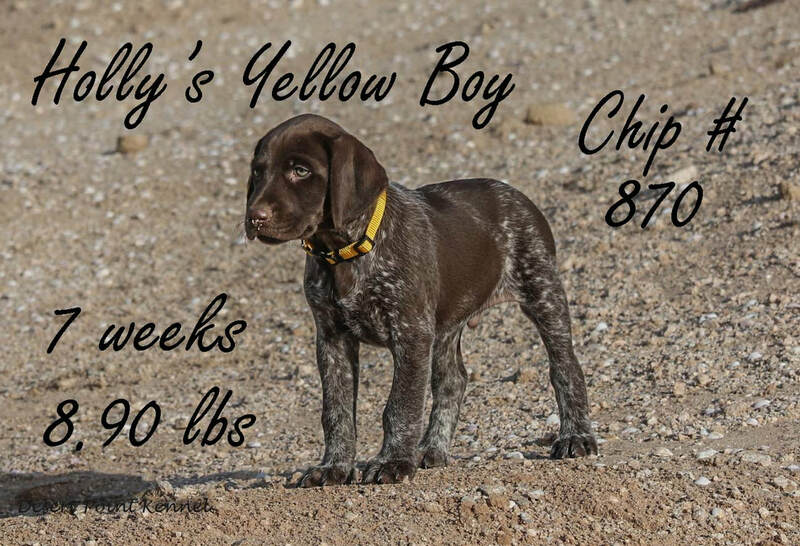 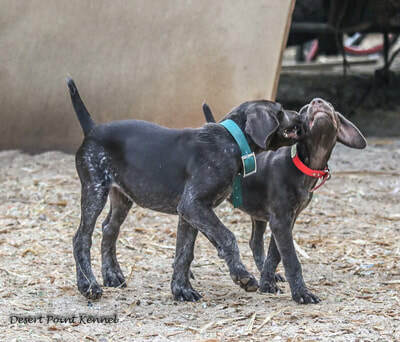 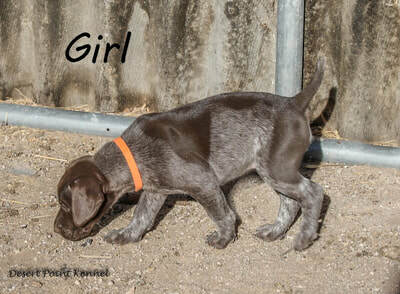 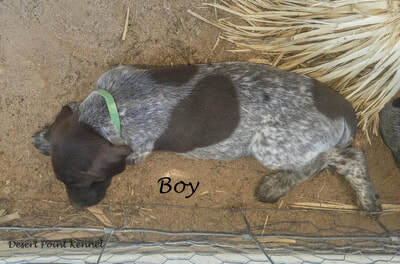 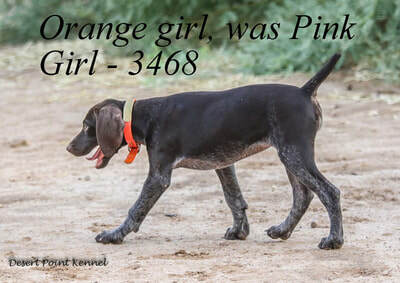 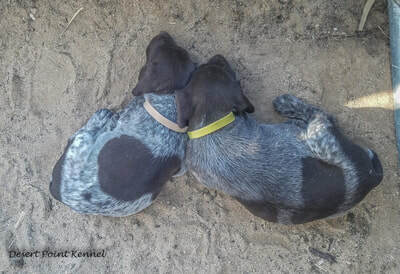 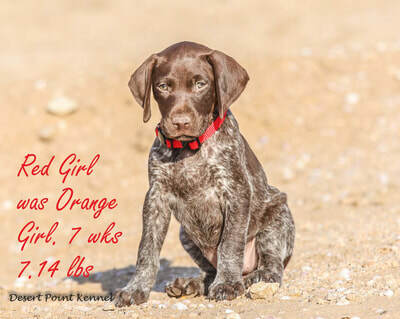 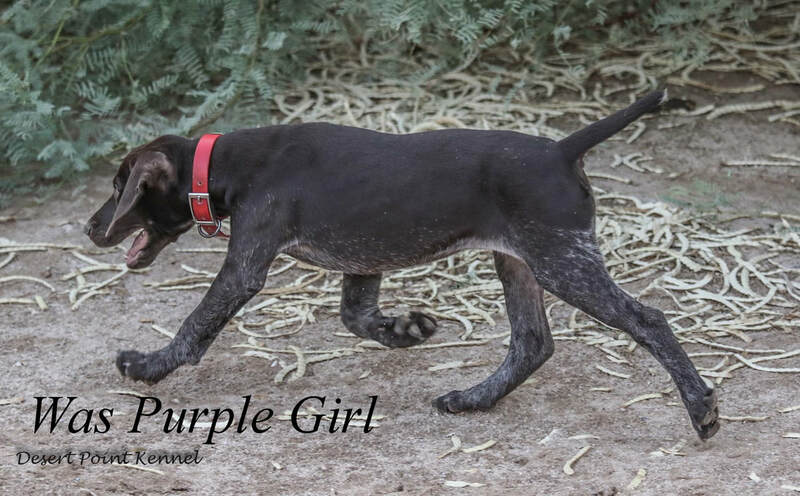 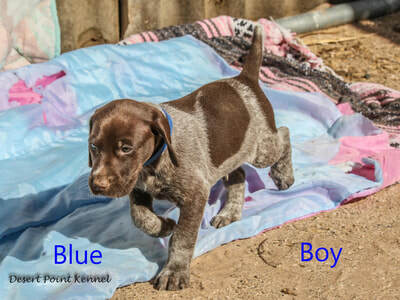 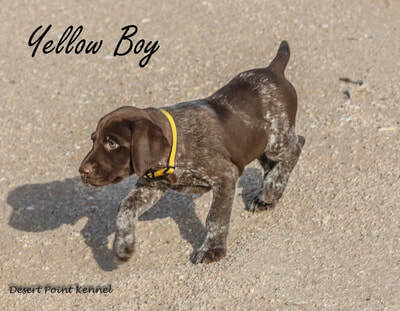 These pups should be extreme versatile hunting dogs, as well as great family dogs. 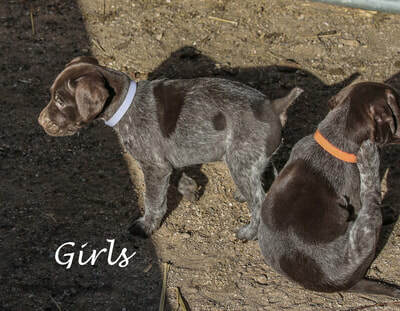 Their water work should be outstanding. 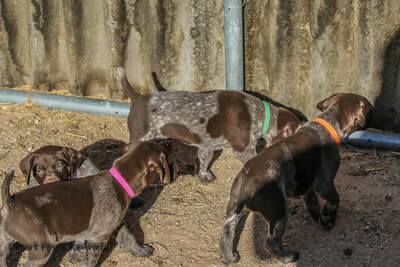 Pups at 7 weeks old.